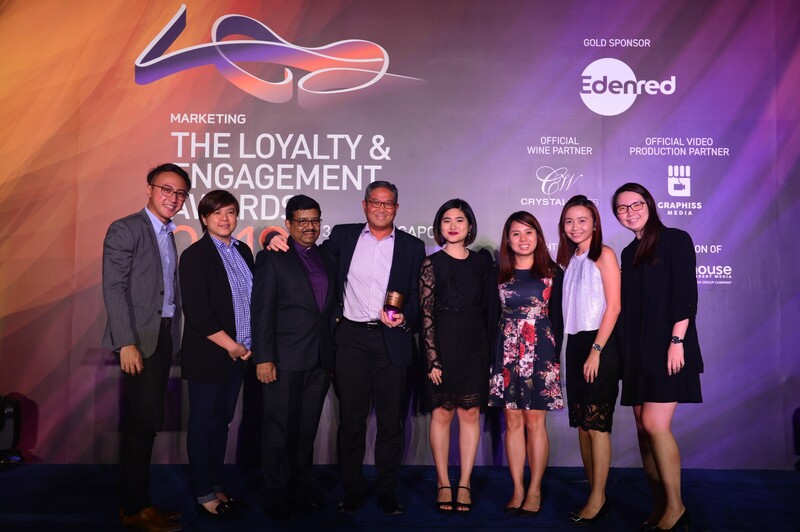 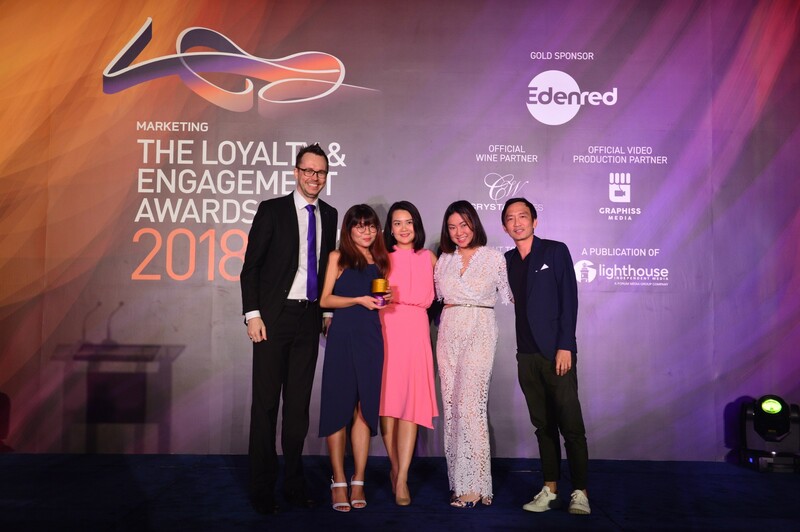 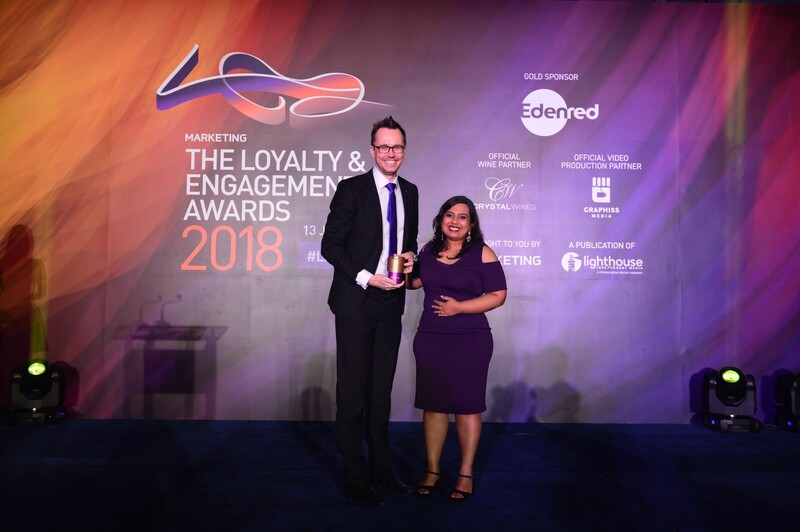 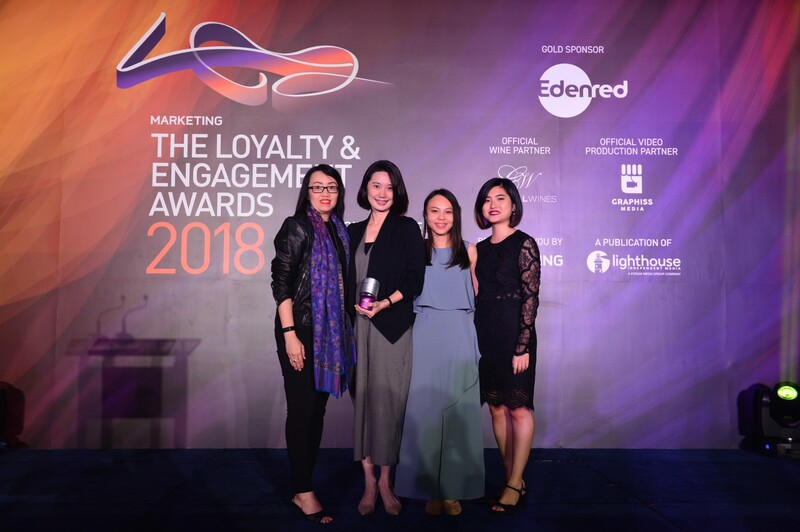 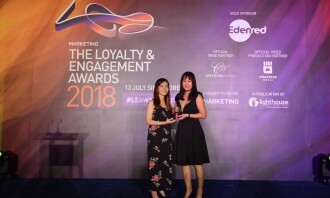 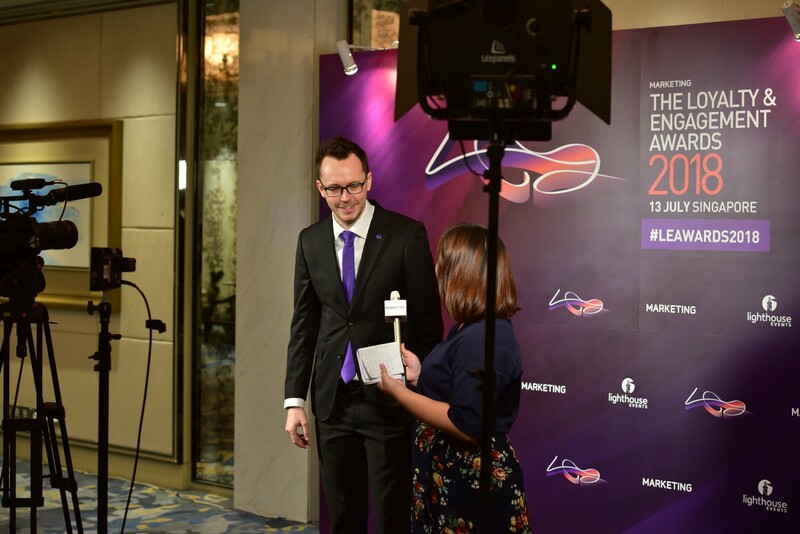 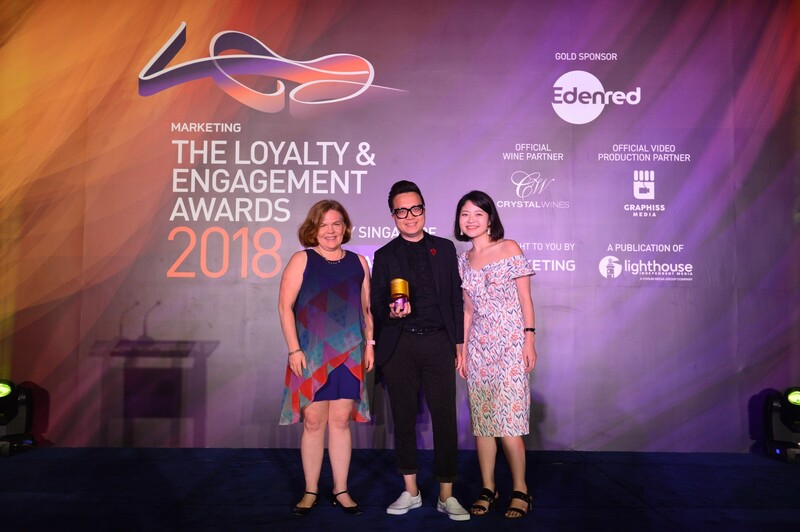 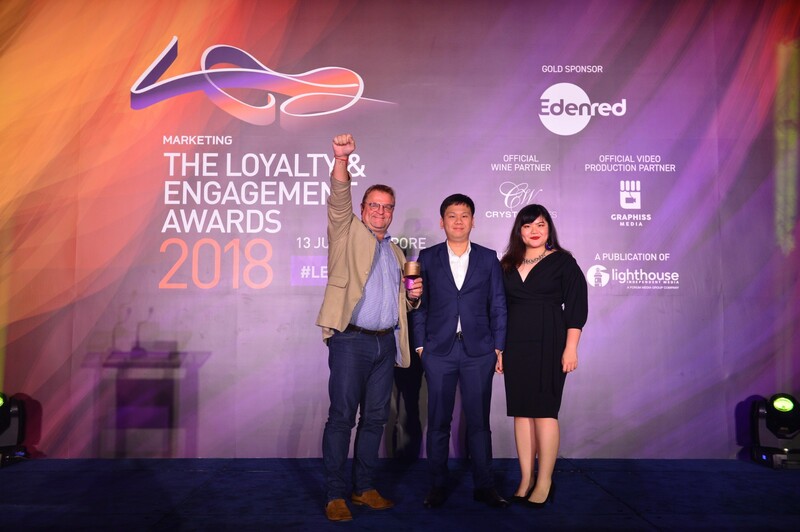 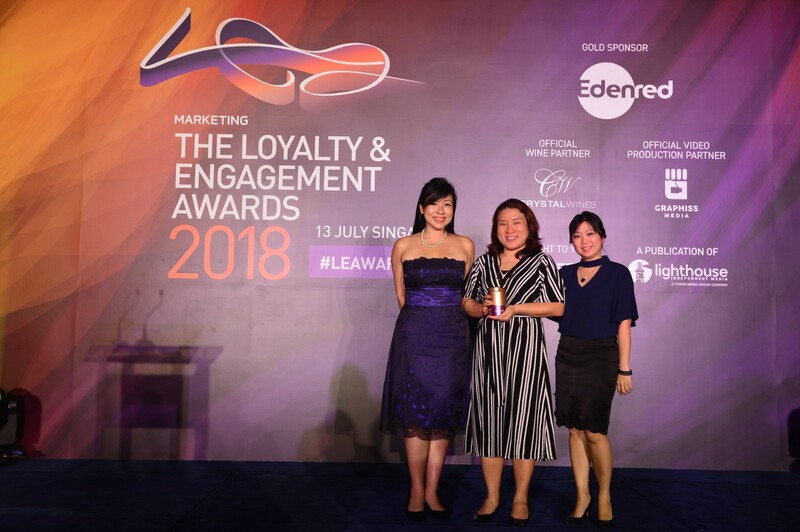 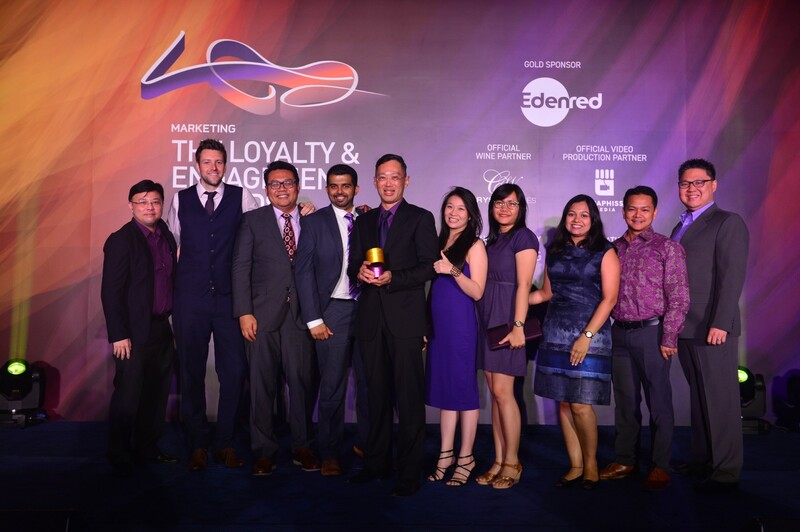 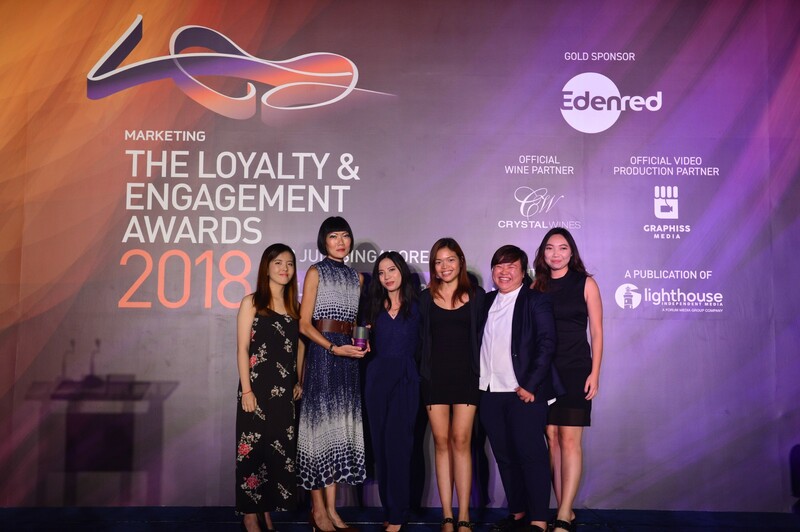 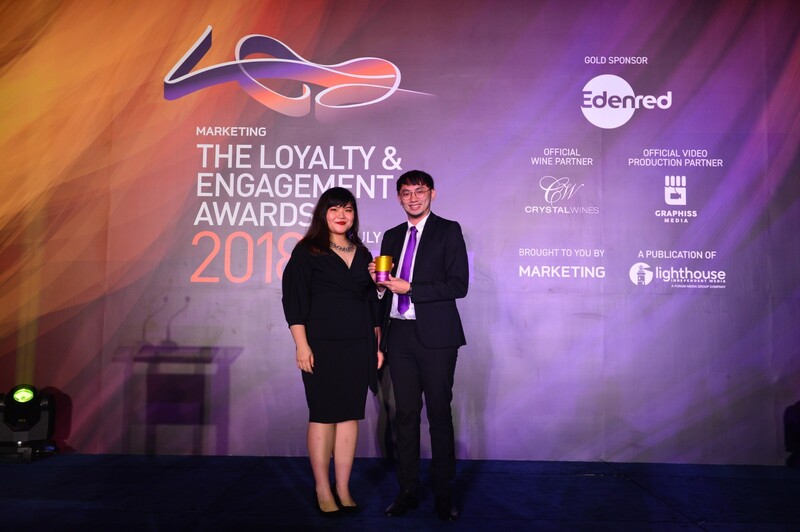 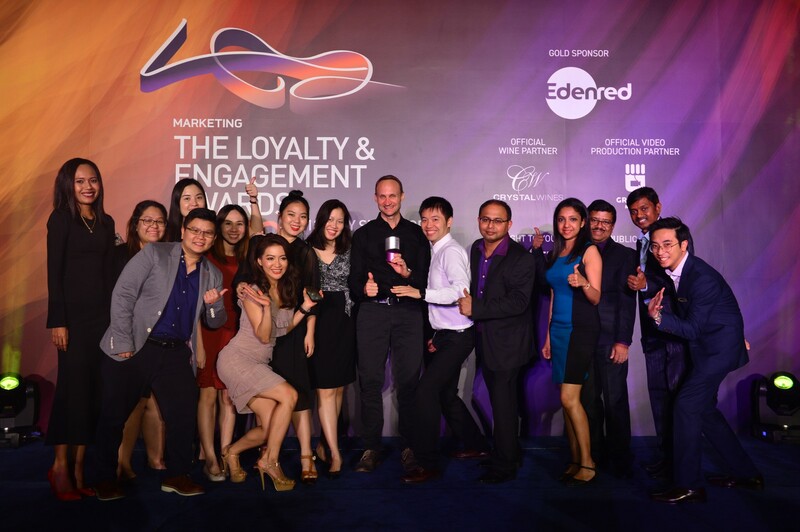 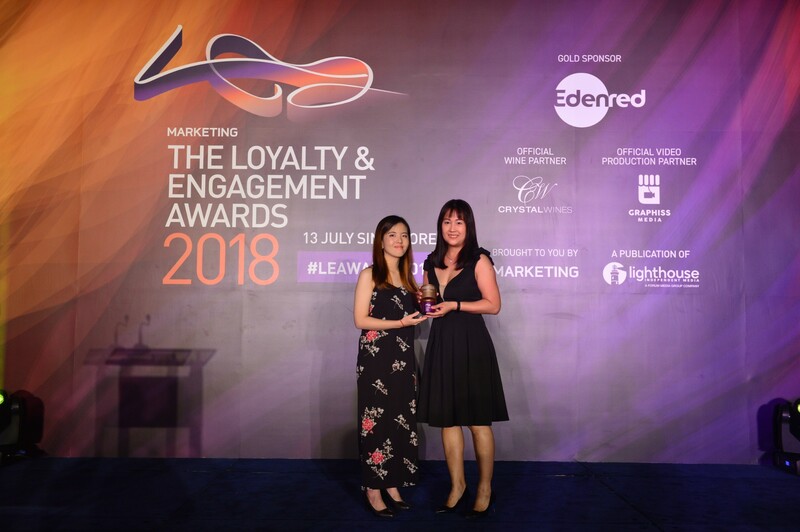 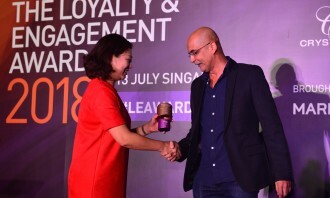 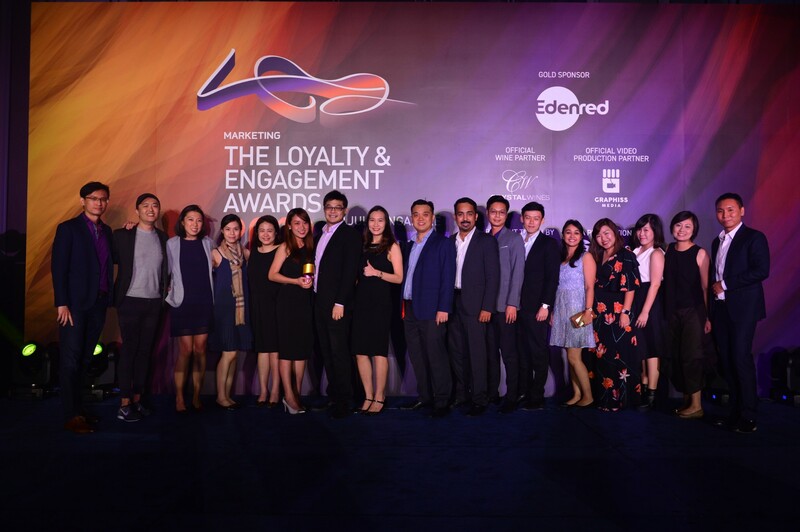 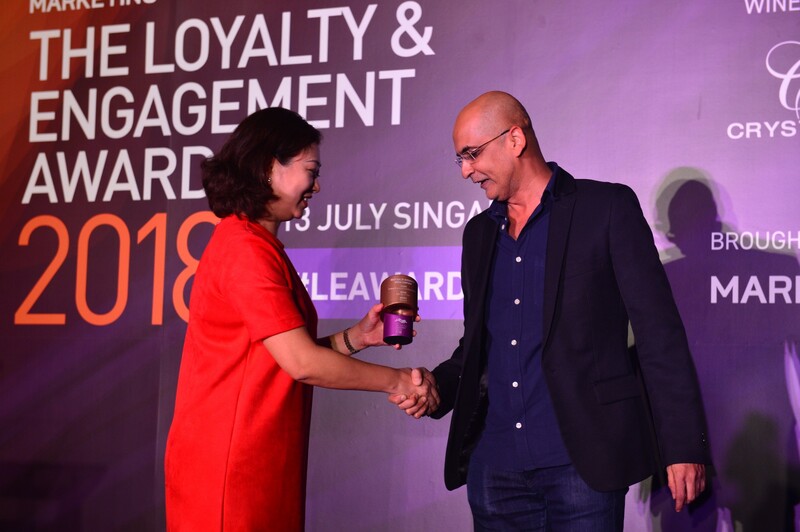 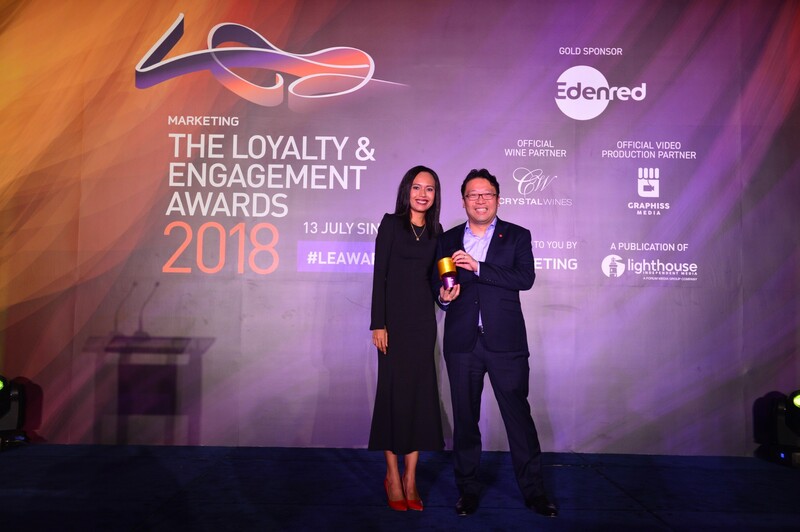 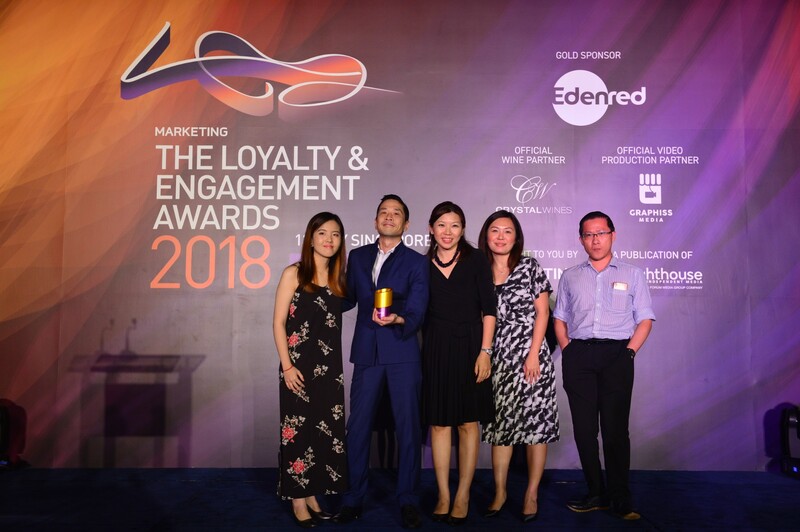 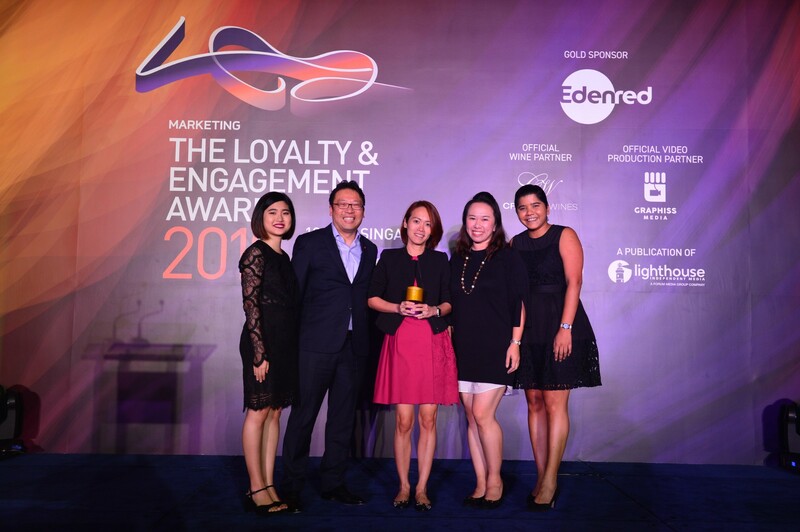 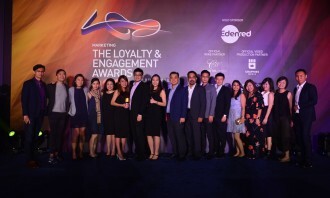 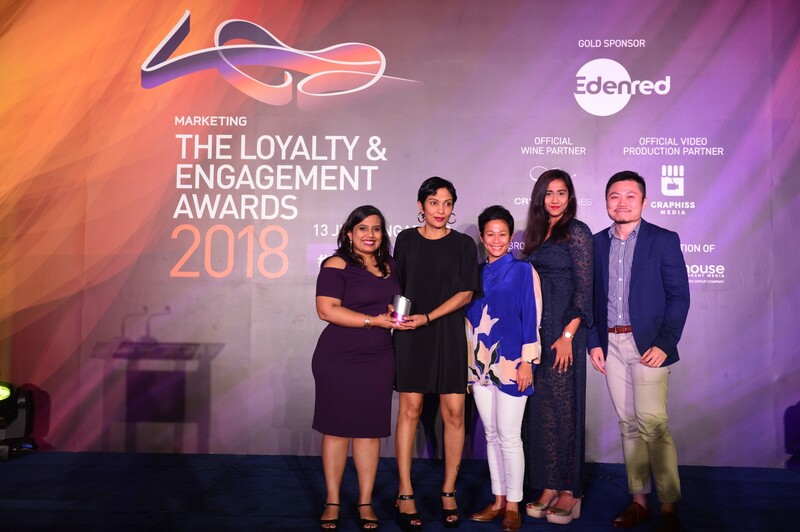 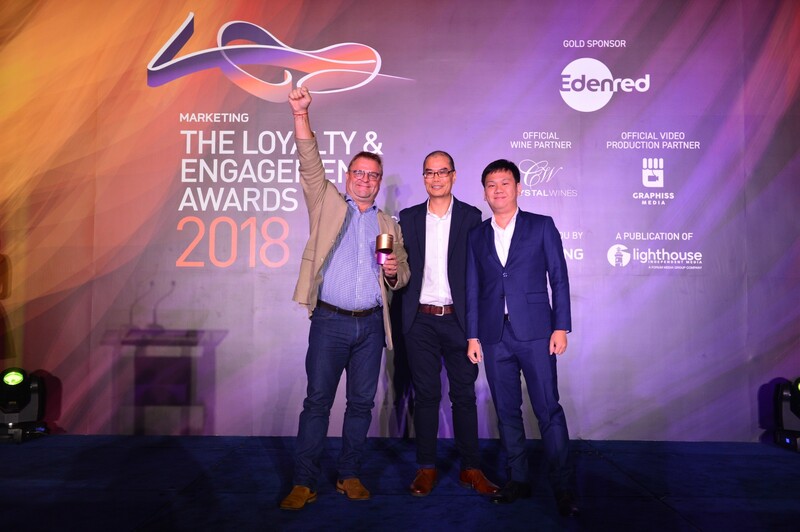 UOB Cards was awarded the L&E 2018 Brand of the Year at Marketing magazine’s sixth edition of the Loyalty & Engagement Awards on 13 July at Shangri-La Hotel, Singapore. 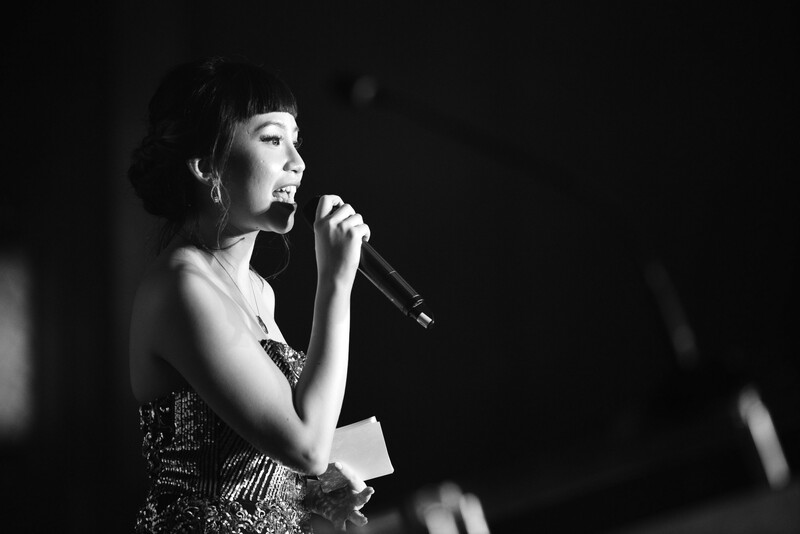 This award ceremony recognises achievements in successfully building loyalty and engagement across Southeast Asia. 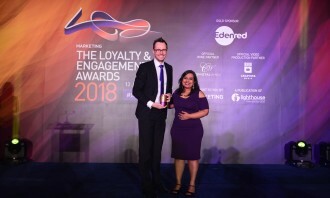 Around 300 marketers and leading agency professionals came together to celebrate and witness UOB Cards picking up an impressive six golds for Best Card-Based Loyalty Programme, Best Loyalty Programme – F&B/Dining, Best Use of Co-Creation/Crowd Sourcing, Best Use of Contests/Promotions, Best Use of CSR and Best Use of Experiential/Live Marketing; five silvers for Best CRM Strategy, Best Use of Direct Marketing Best Use of Relationship Marketing – B2C, Best Use of Social and Most Innovative Loyalty Programme; and two bronze for Best Customer Experience and Best Use of Brand Advocacy/Influencers. 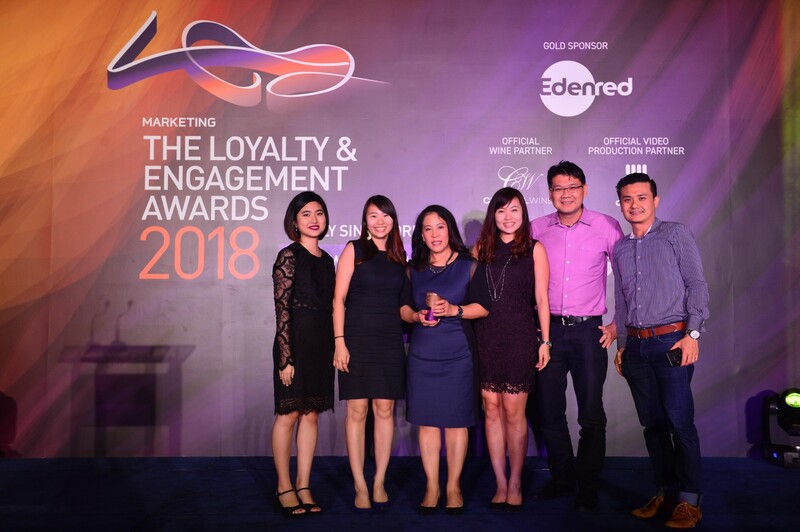 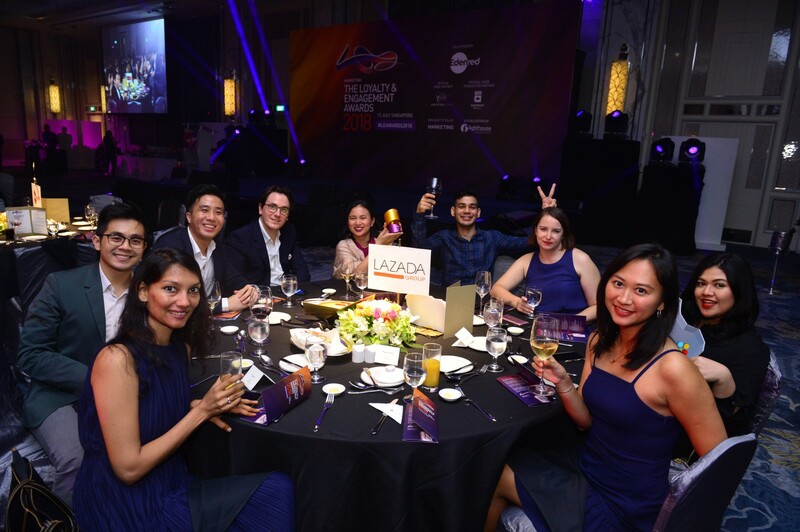 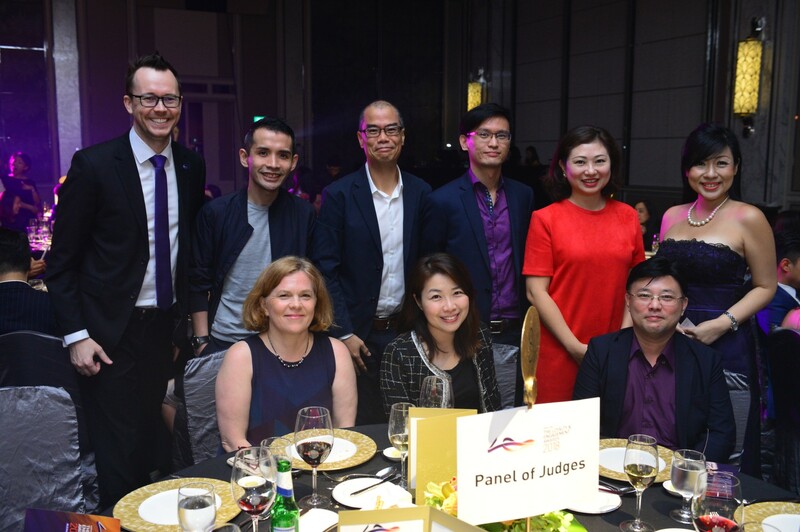 Coming in second was DBS Bank, taking home a total of five awards: gold for Best Customer Experience, Best Use of Direct Marketing and Best Use of Technology; and silver for Best Partnership in a Loyalty Programme and Best Use of Contests/Promotions. 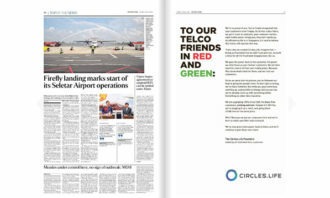 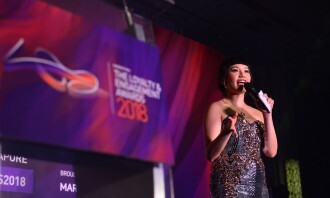 Shell, represented by Shell Malaysia and Shell International Petroleum, came in third. Shell Malaysia won a gold for Best Use of Consumer Insights/Data Analytics; a silver for Best Use of Co-Creation/Crowd Sourcing; and a bronze for Best Use of Mobile. 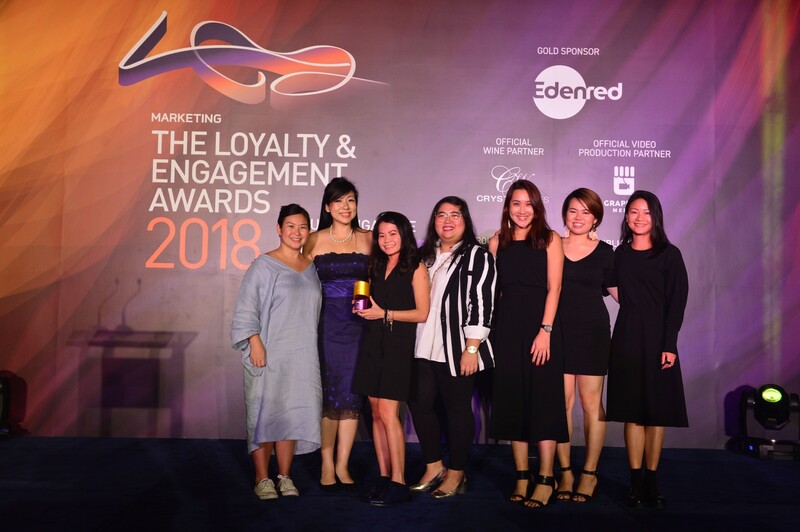 Meanwhile, Shell International Petroleum bagged a gold for Best Use of Integrated Media Campaign; a silver for Best Use of Technology; and a bronze for Best CRM Strategy. 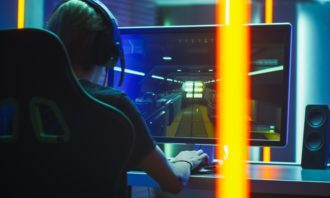 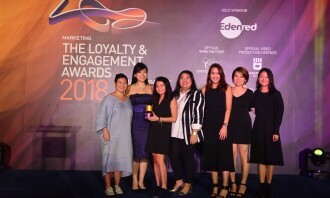 This year, three agencies were undisputed as the best performing agencies for the segments Loyalty, Engagement and Relationship Marketing. 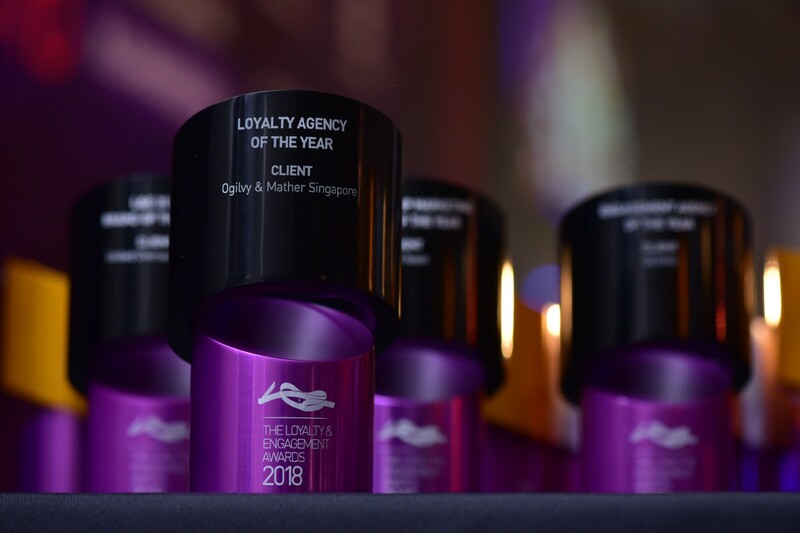 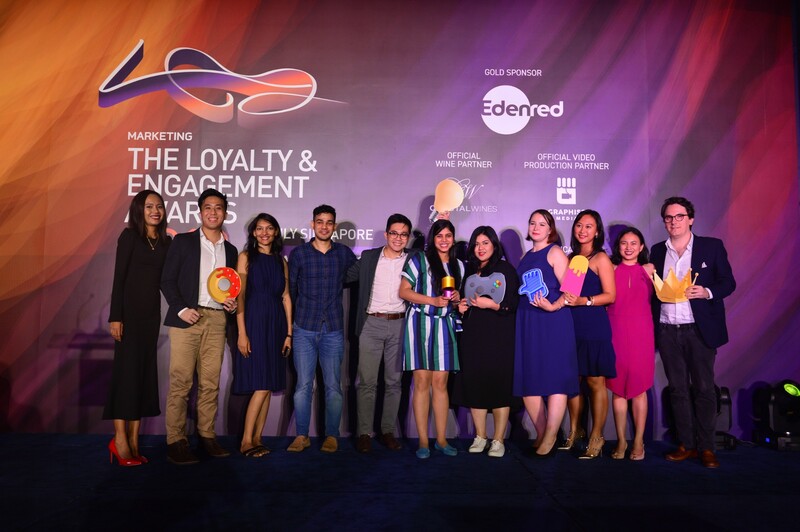 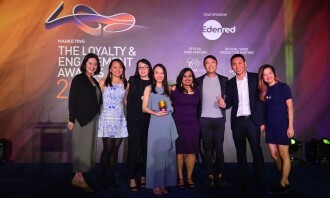 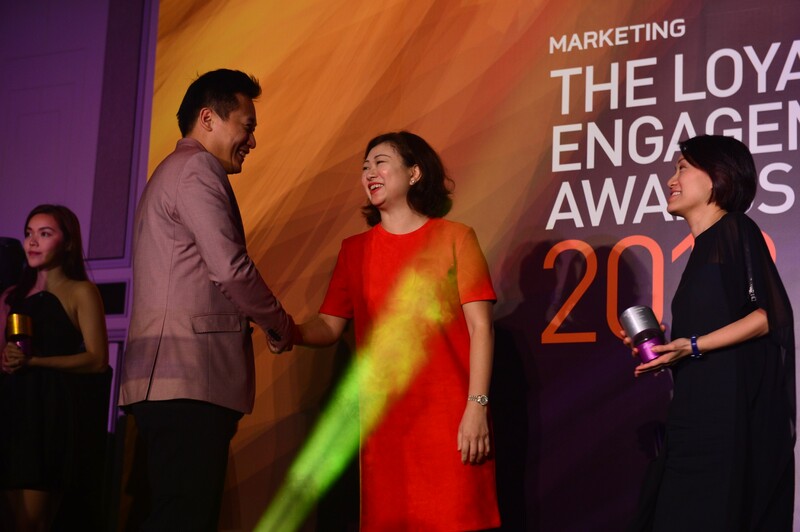 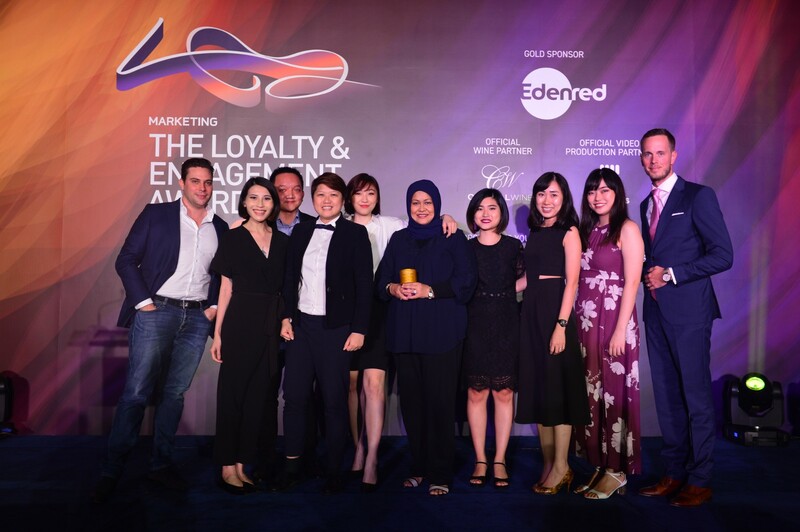 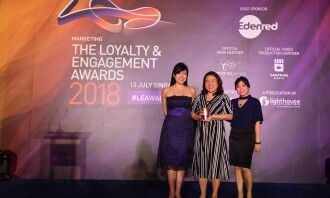 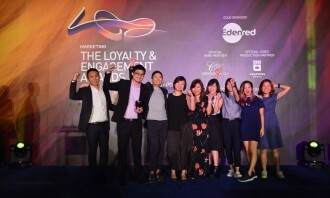 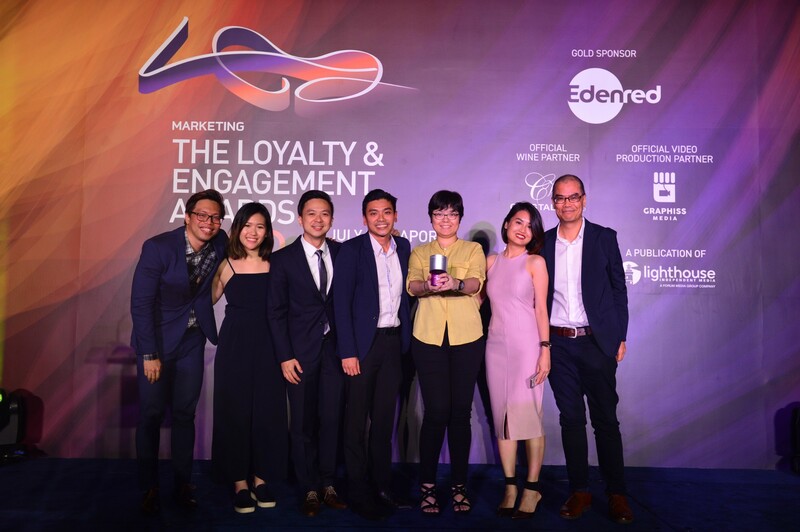 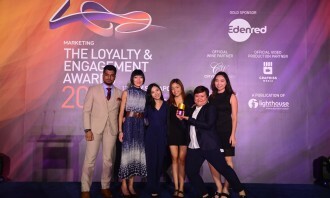 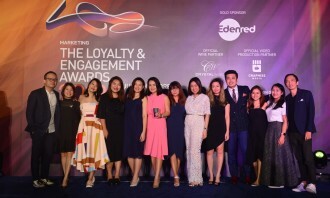 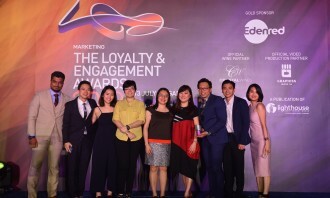 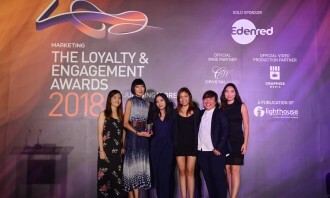 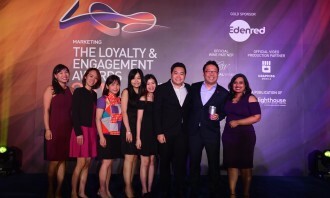 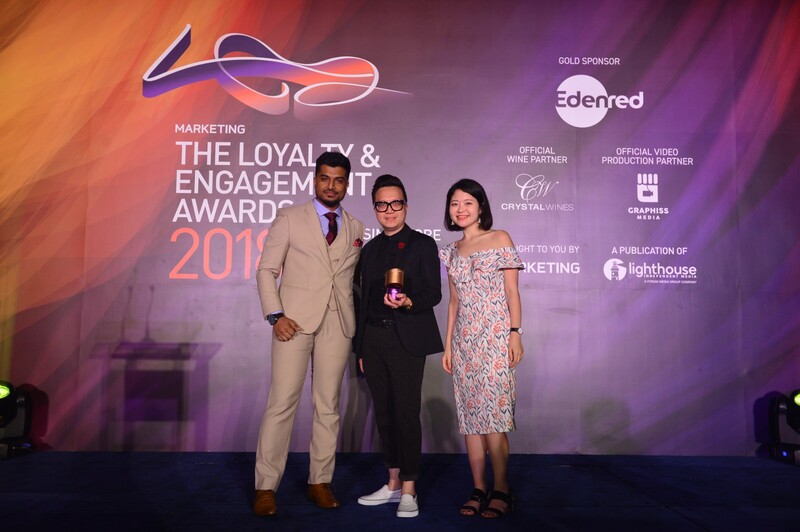 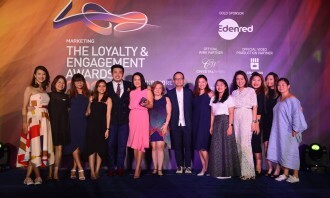 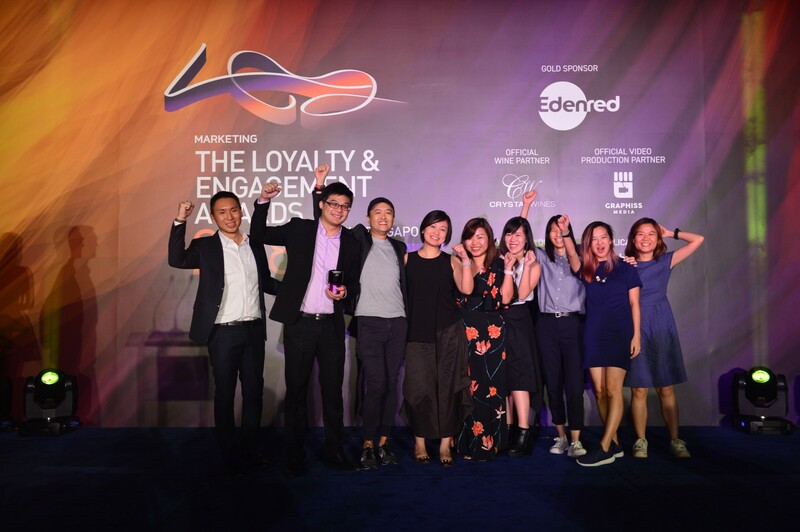 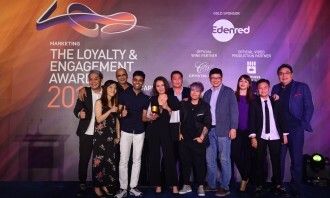 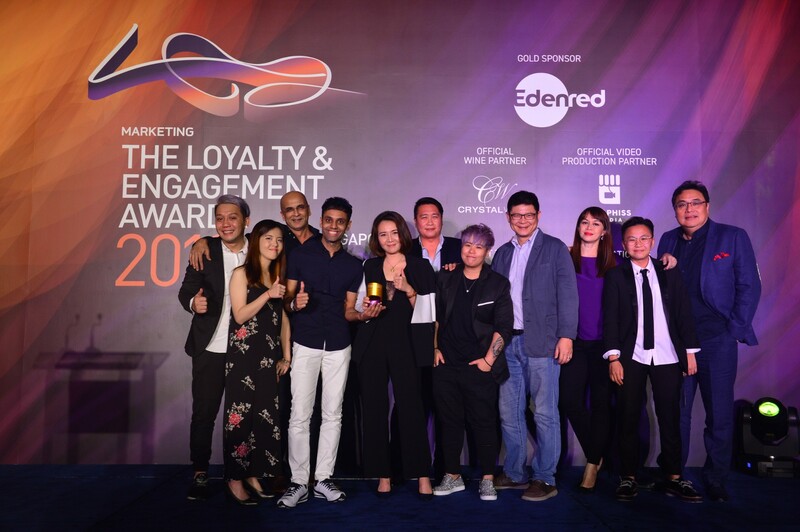 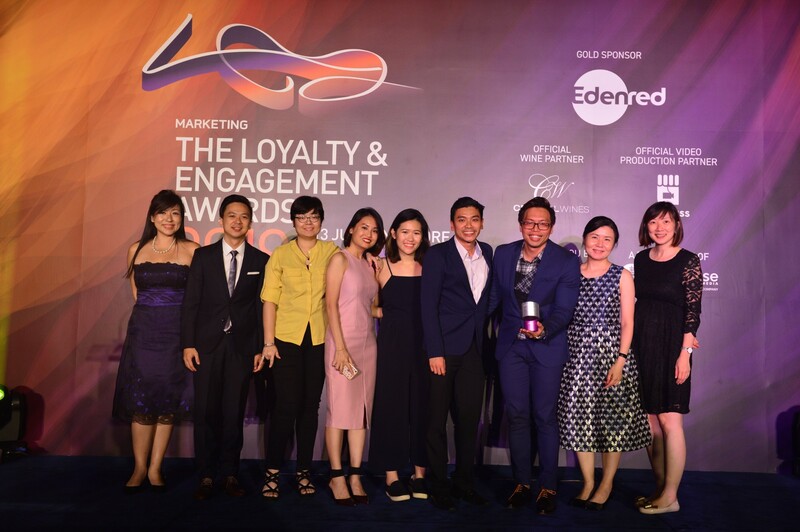 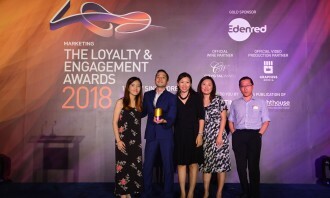 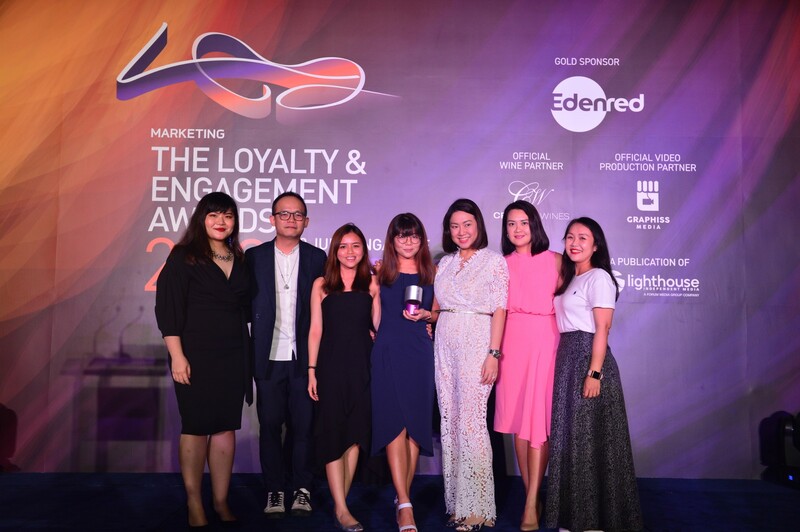 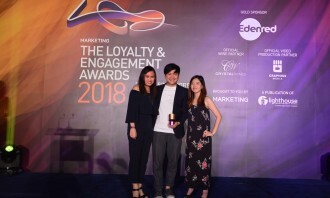 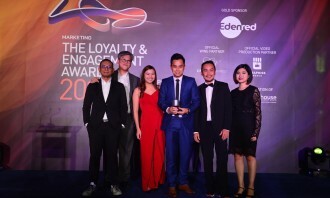 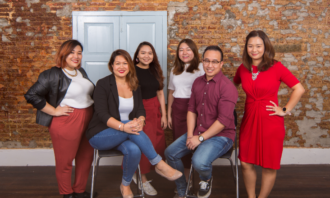 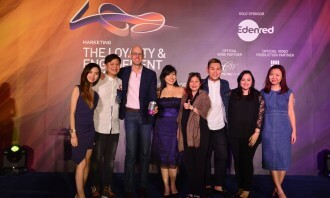 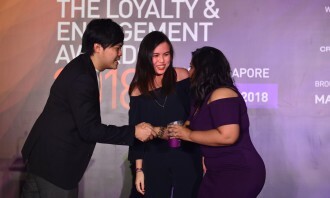 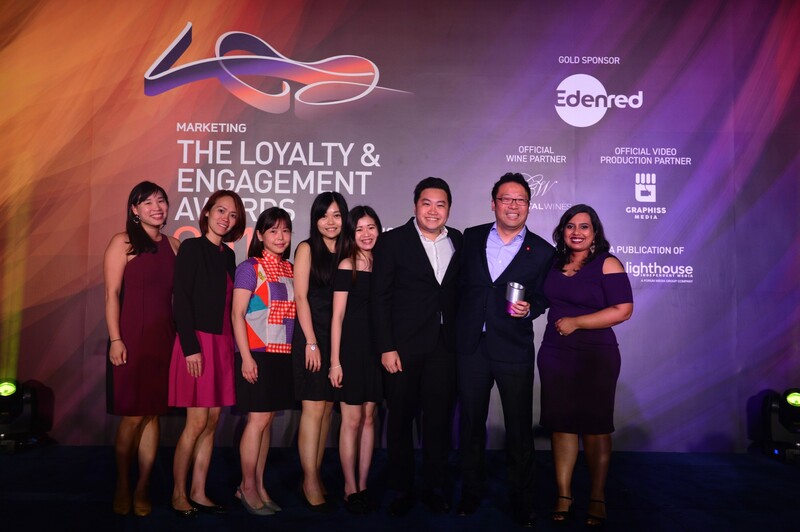 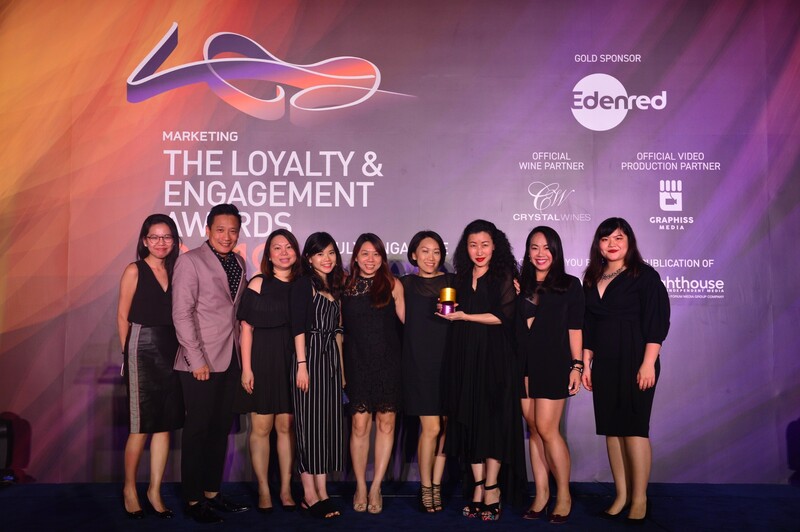 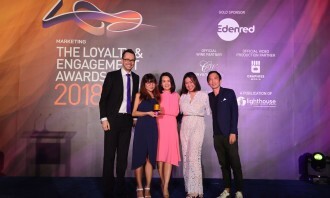 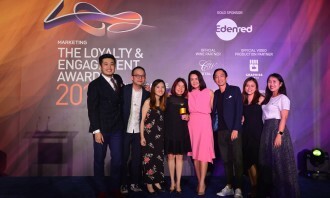 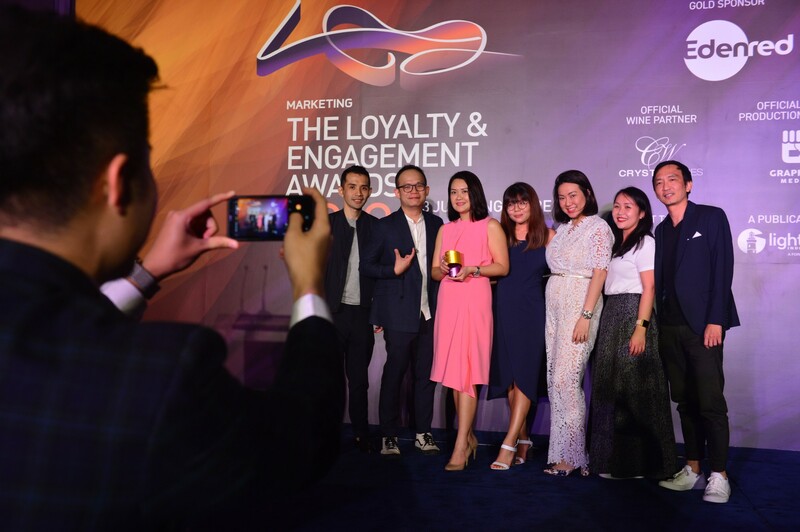 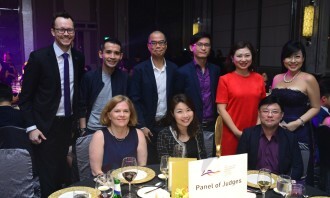 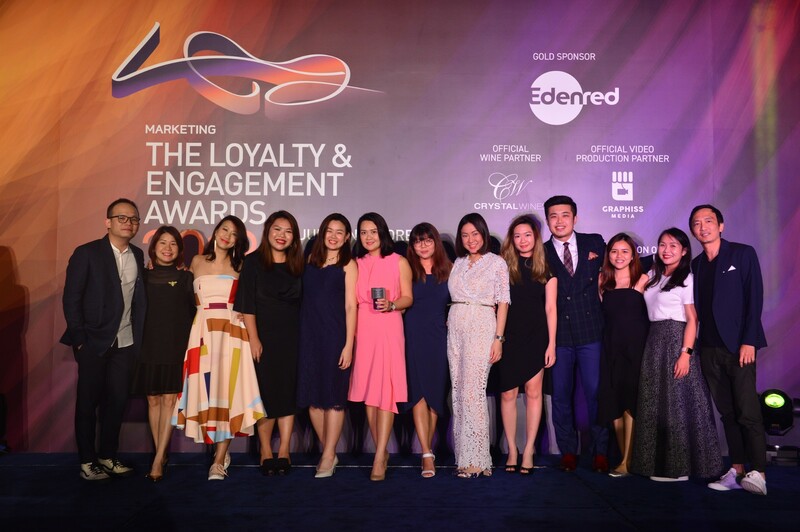 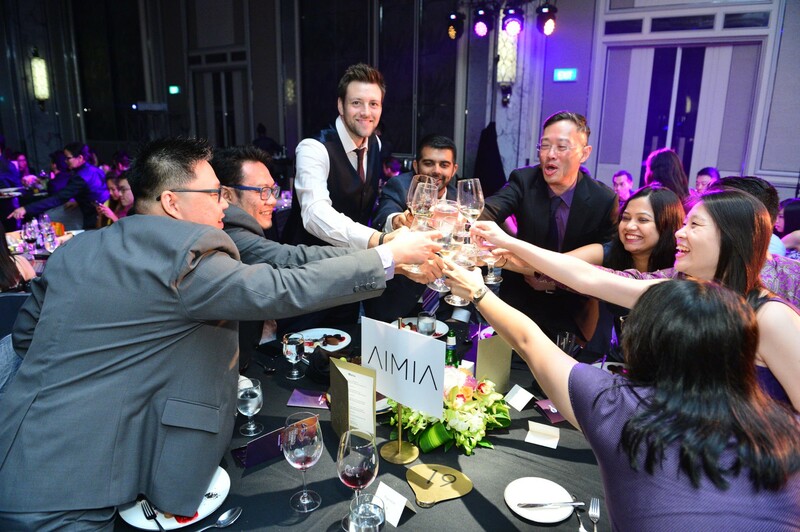 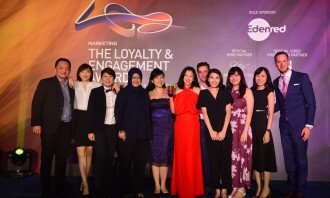 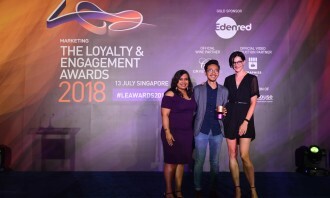 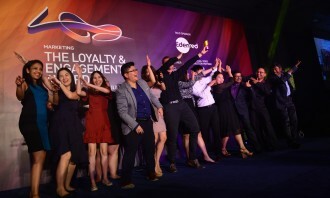 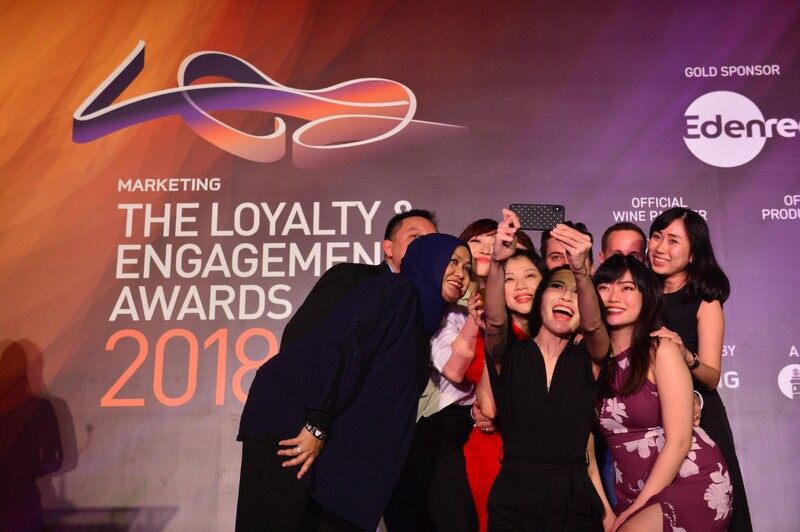 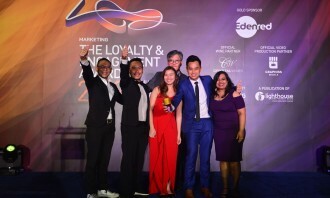 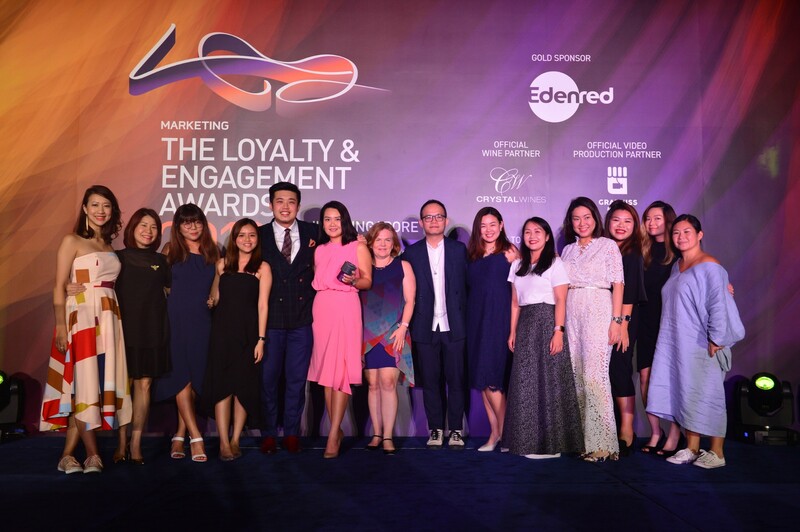 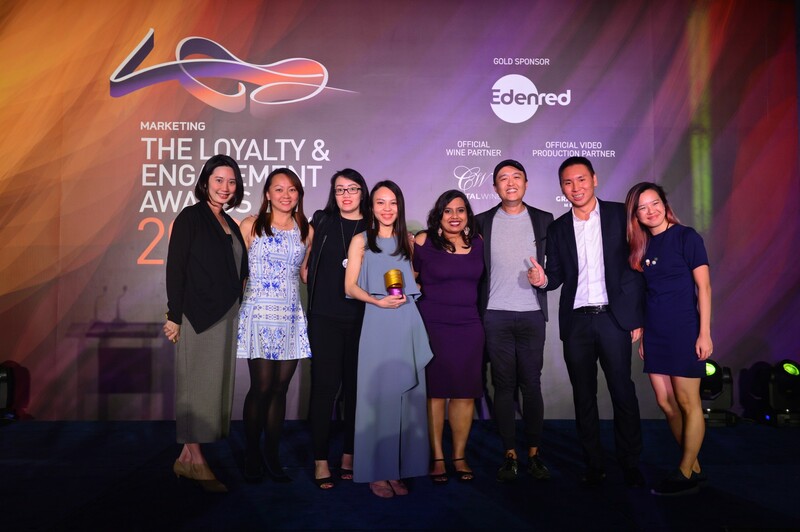 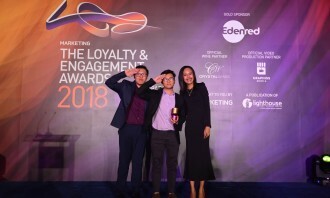 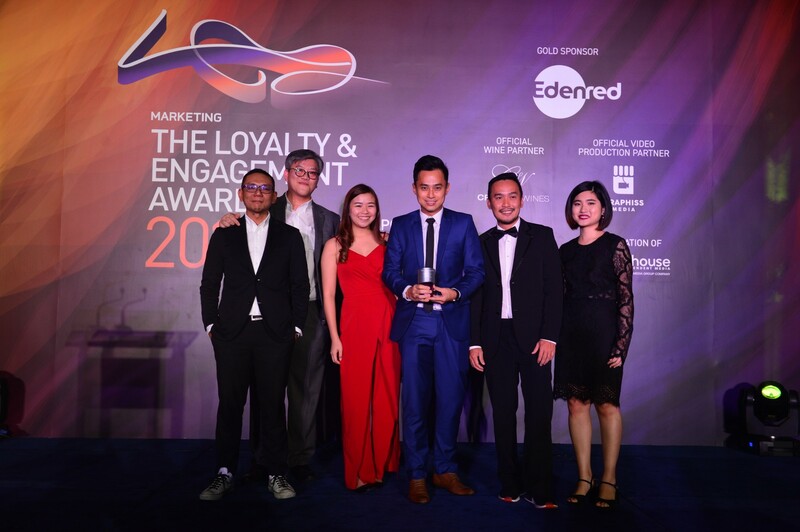 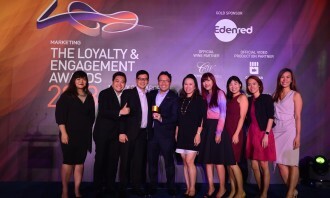 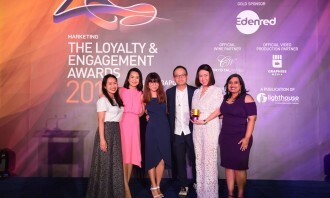 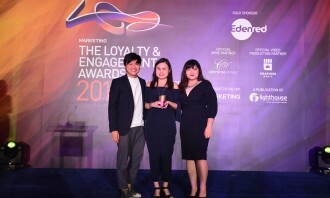 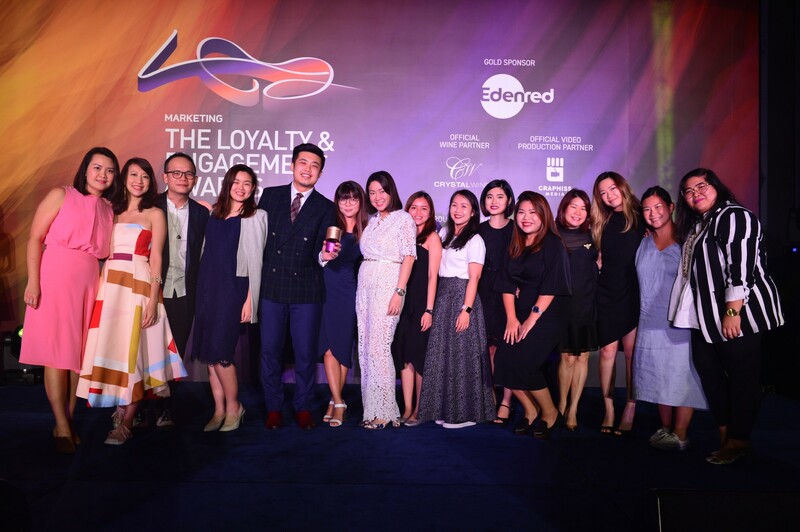 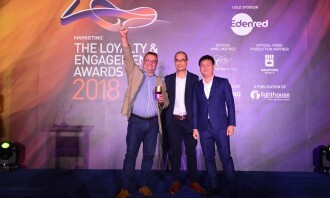 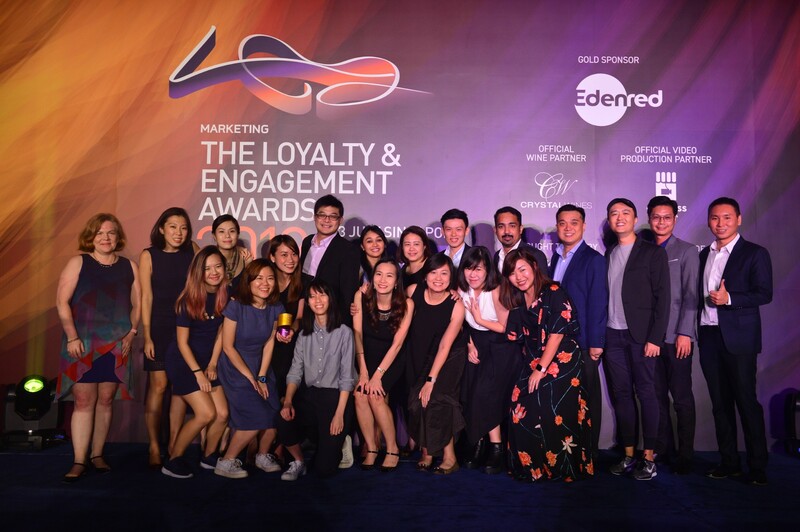 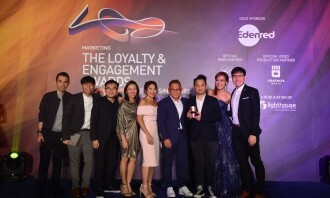 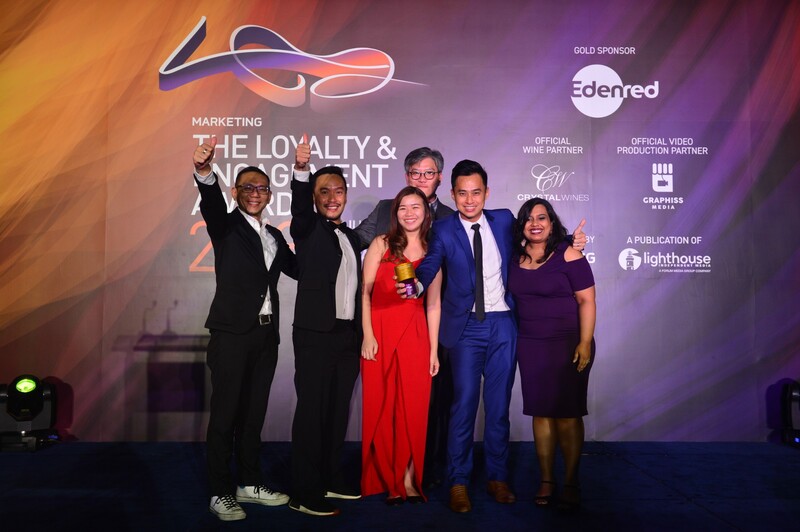 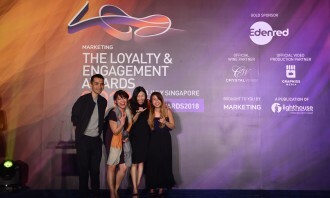 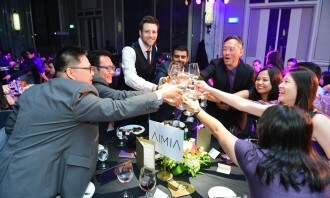 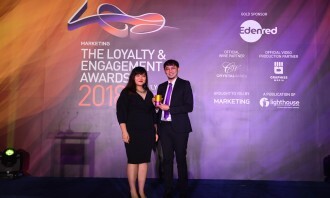 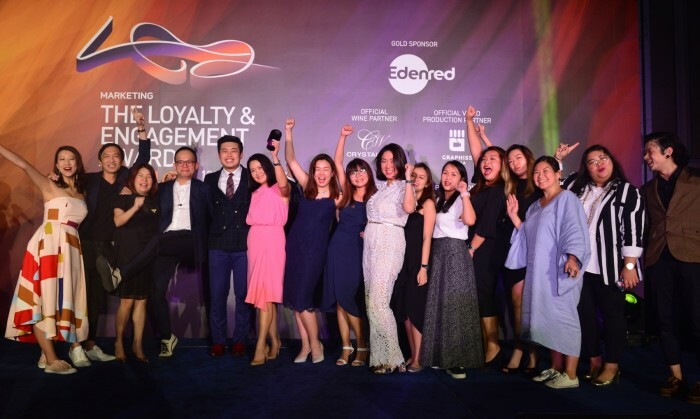 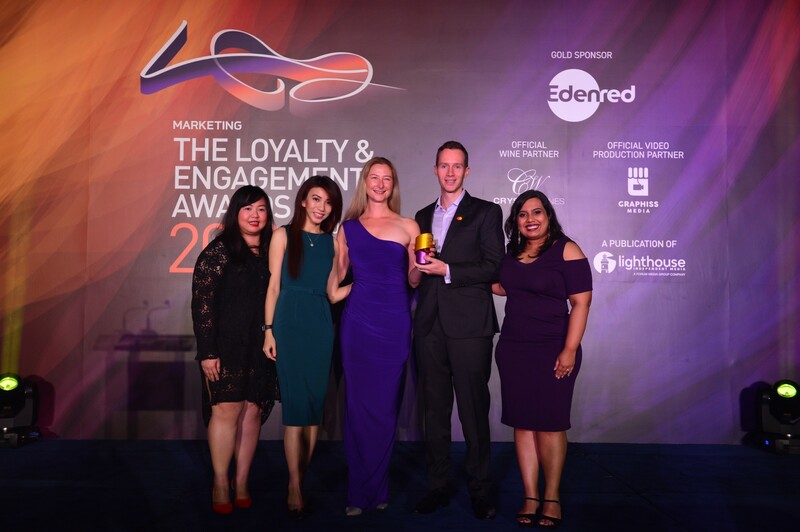 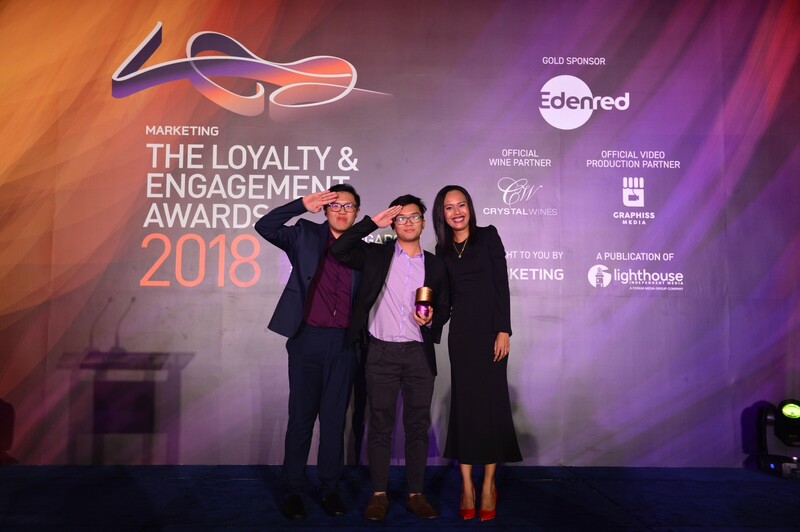 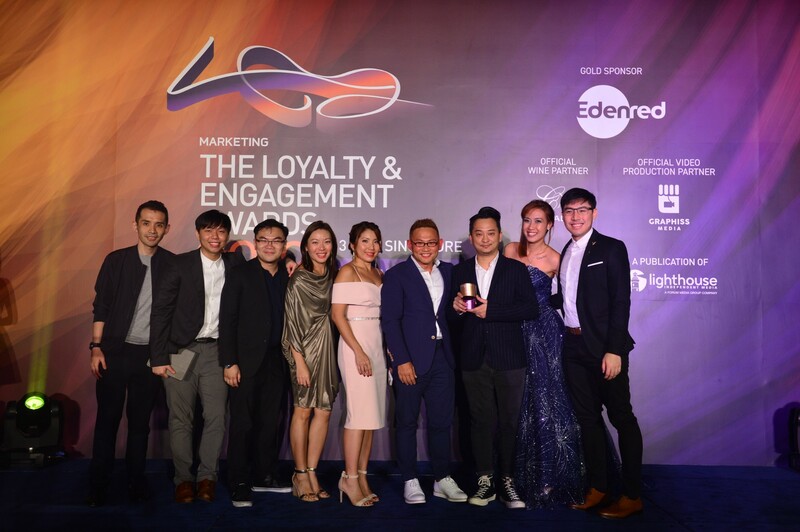 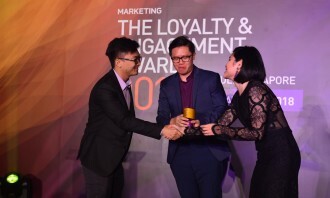 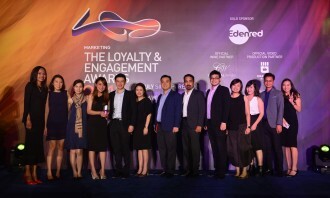 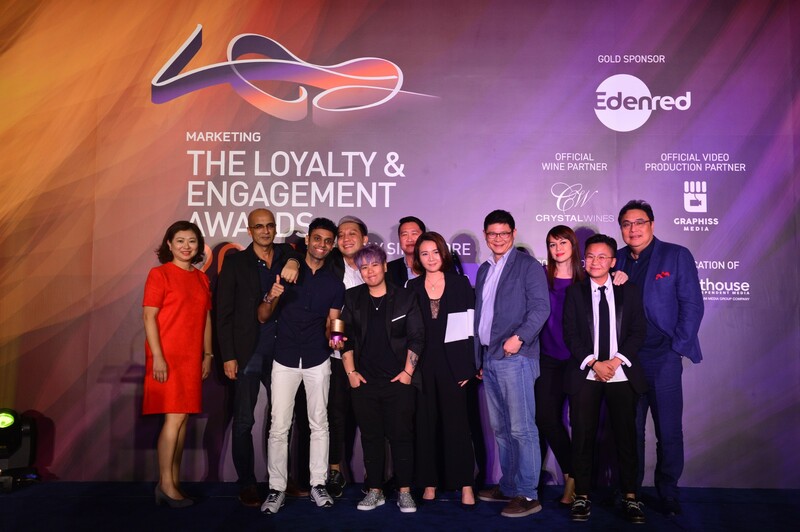 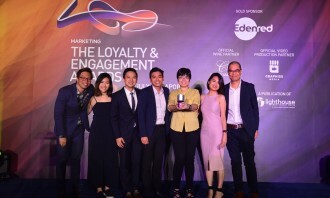 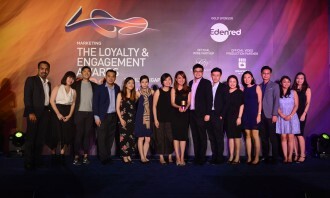 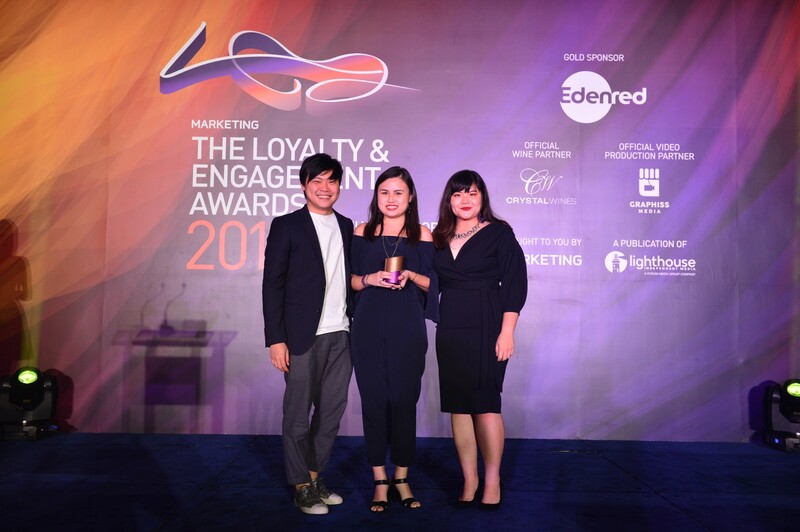 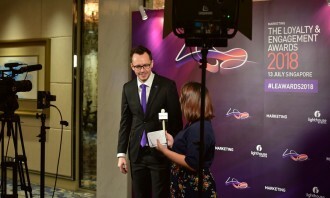 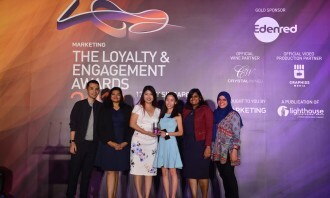 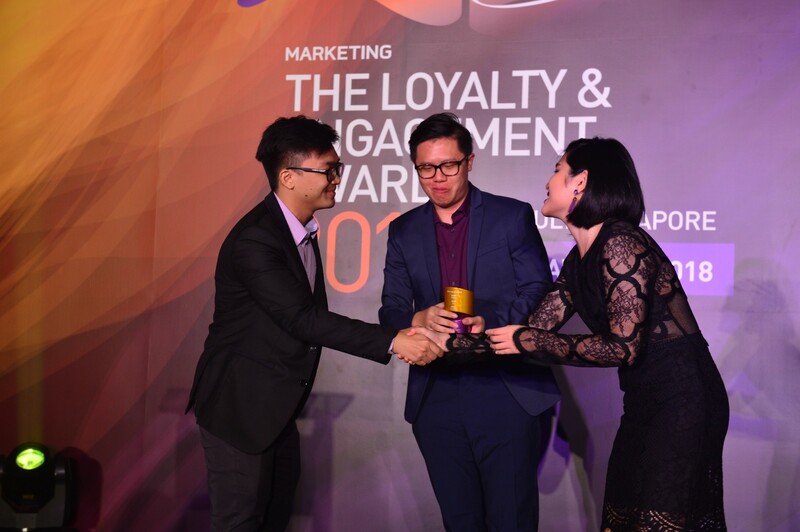 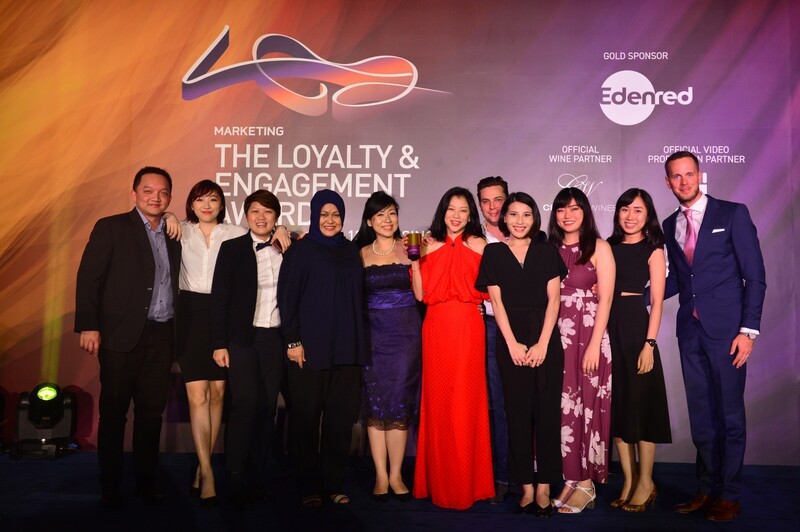 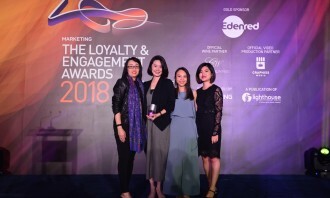 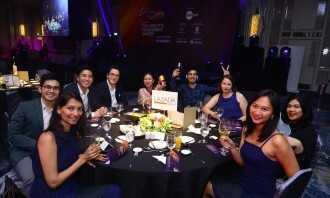 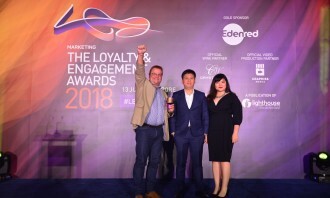 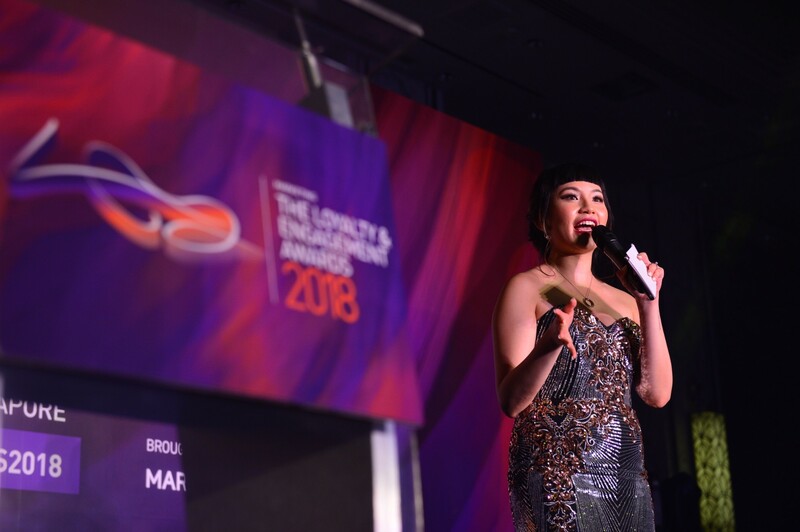 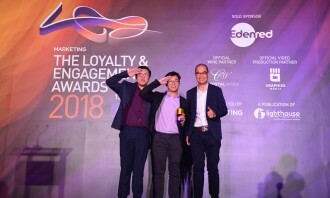 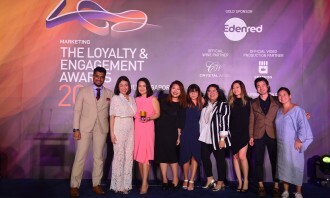 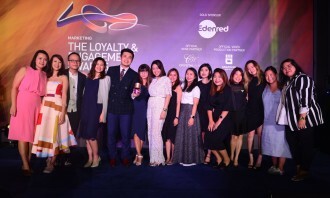 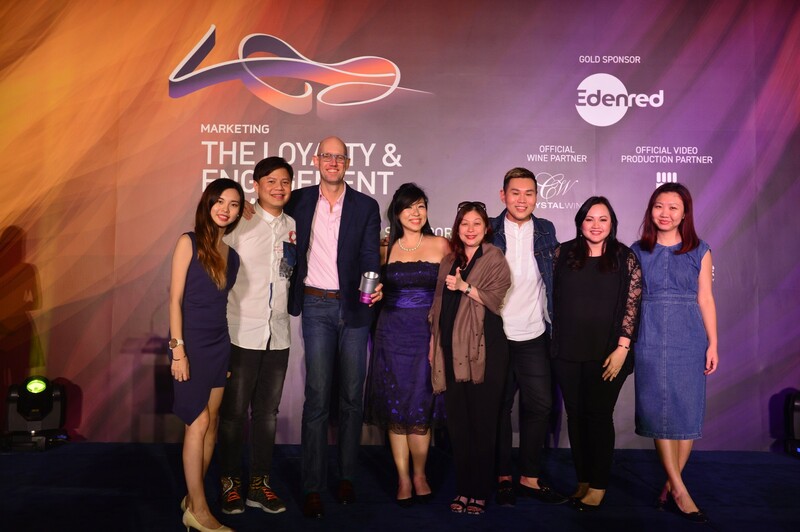 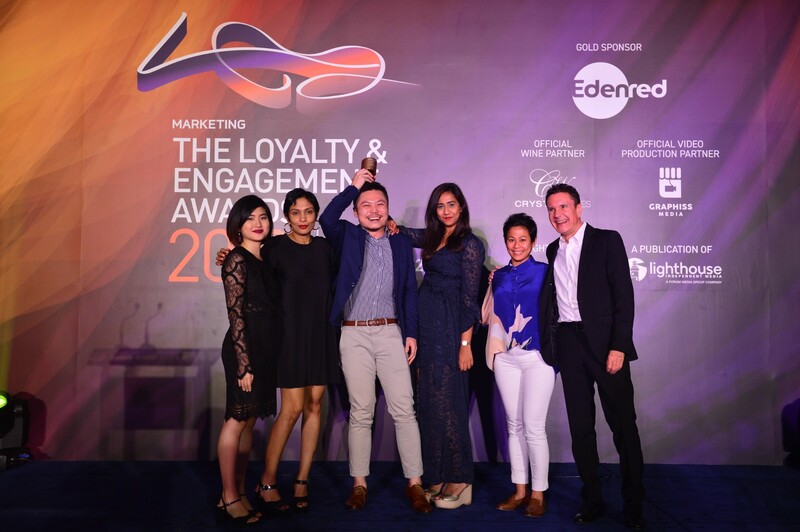 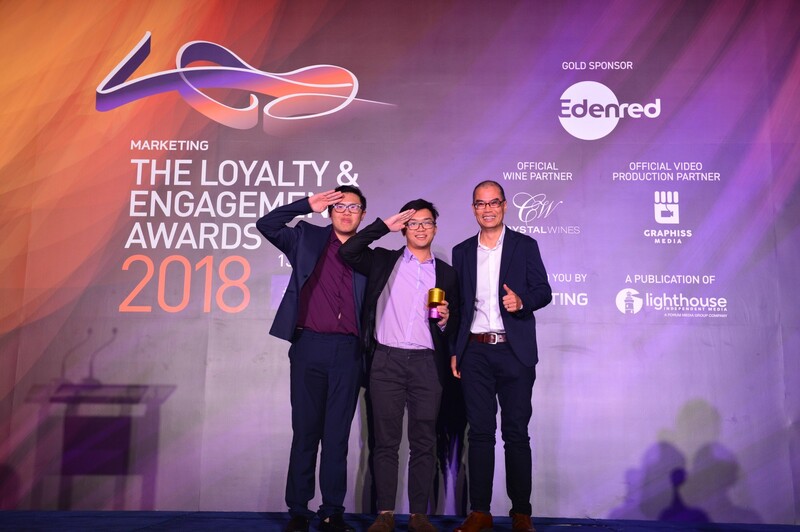 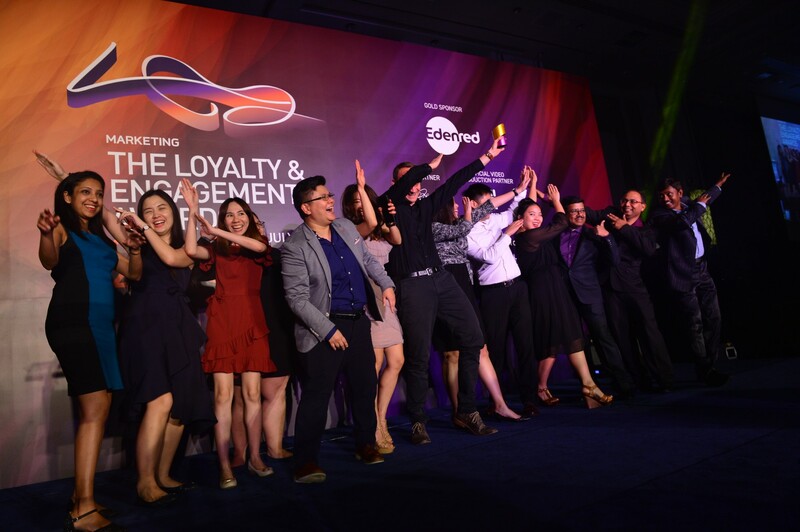 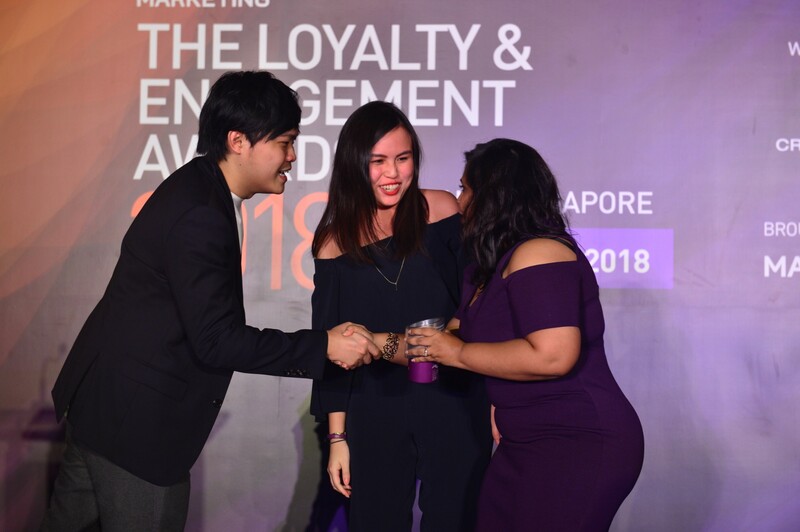 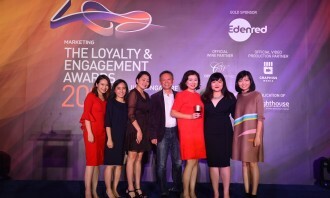 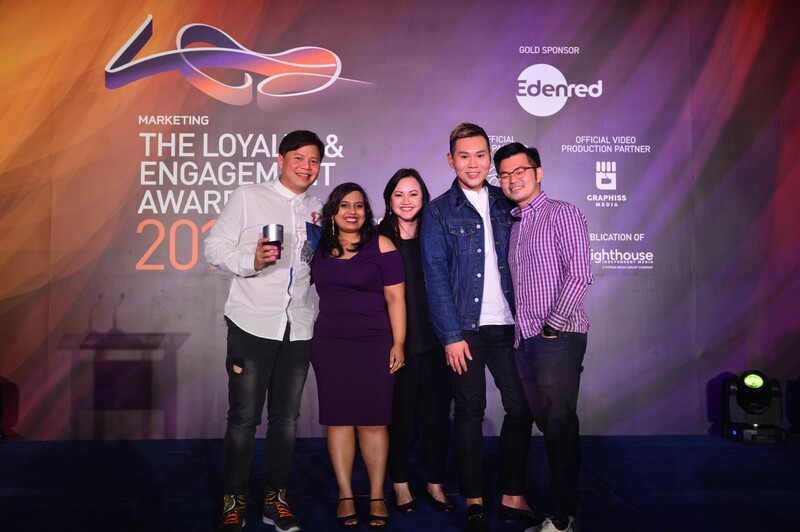 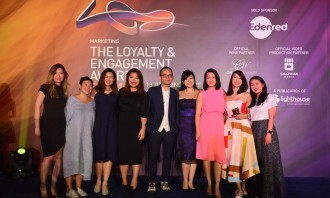 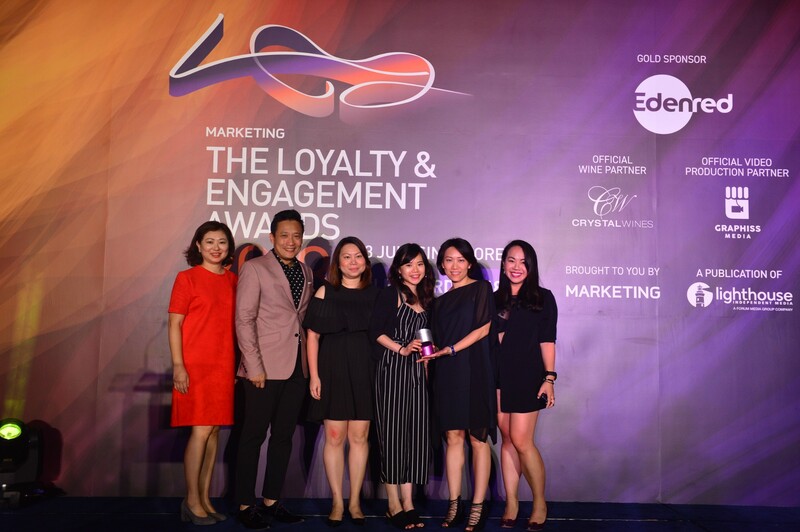 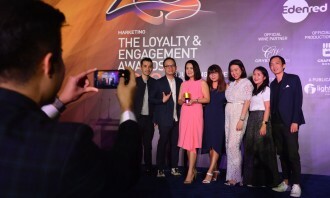 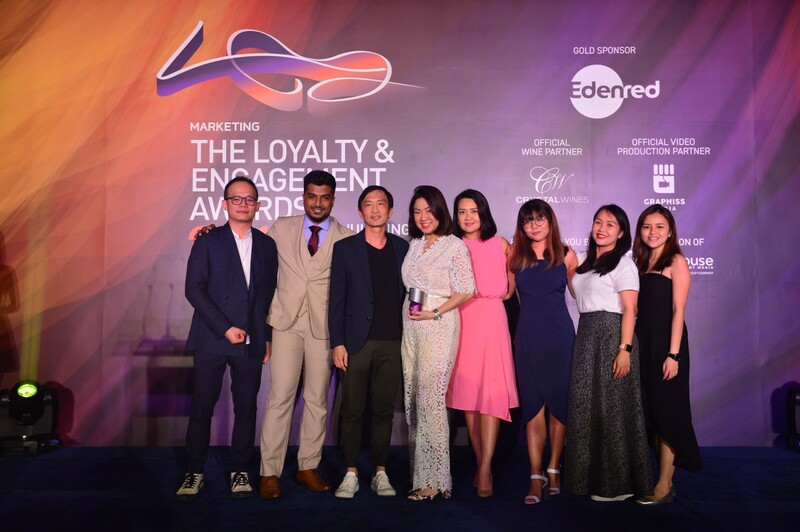 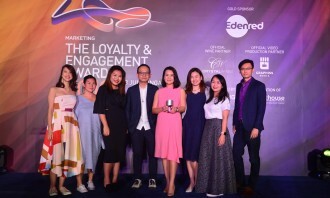 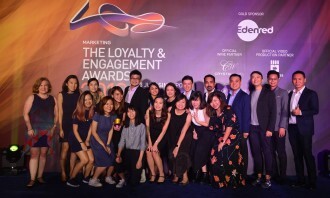 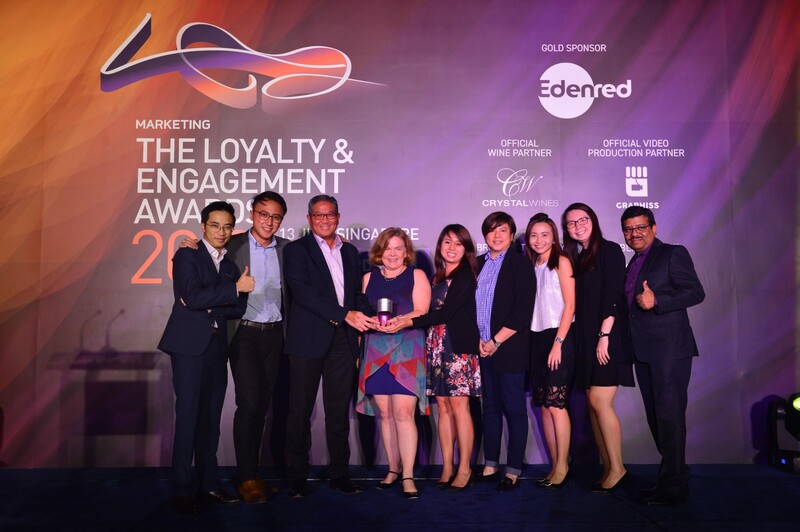 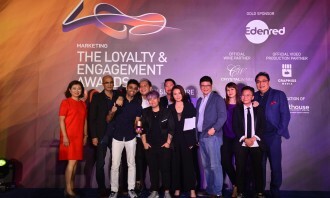 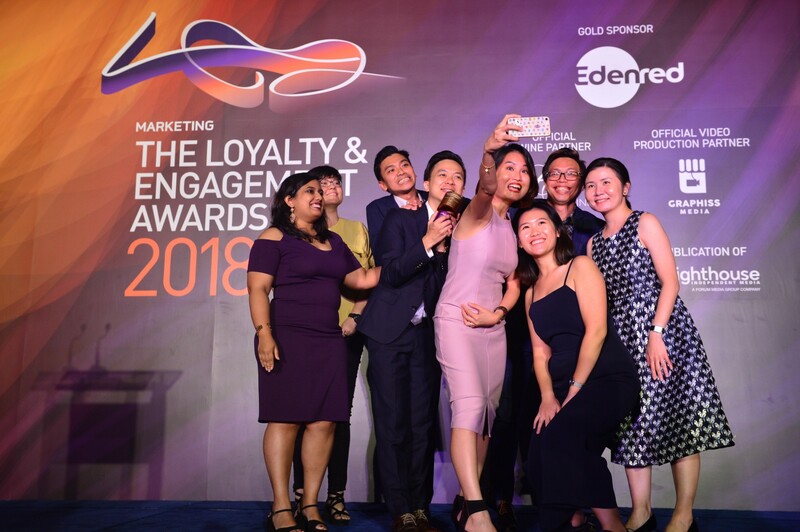 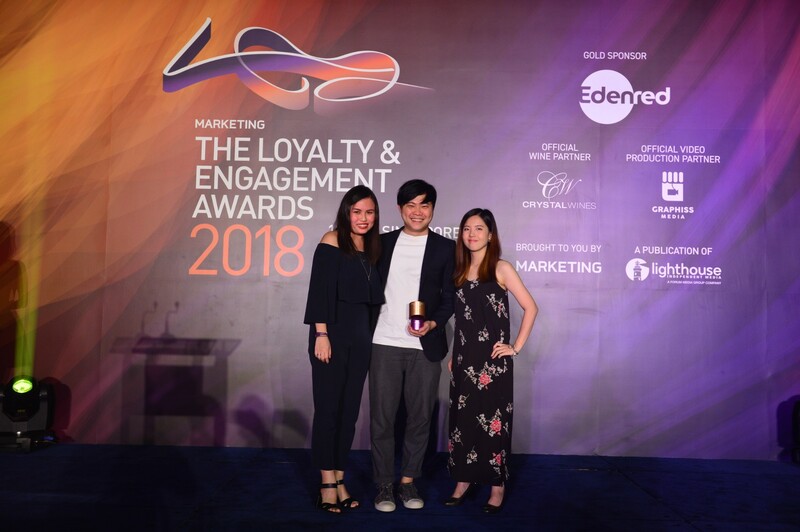 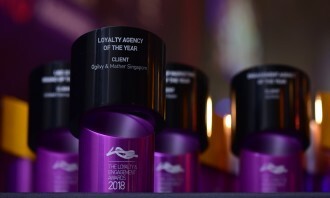 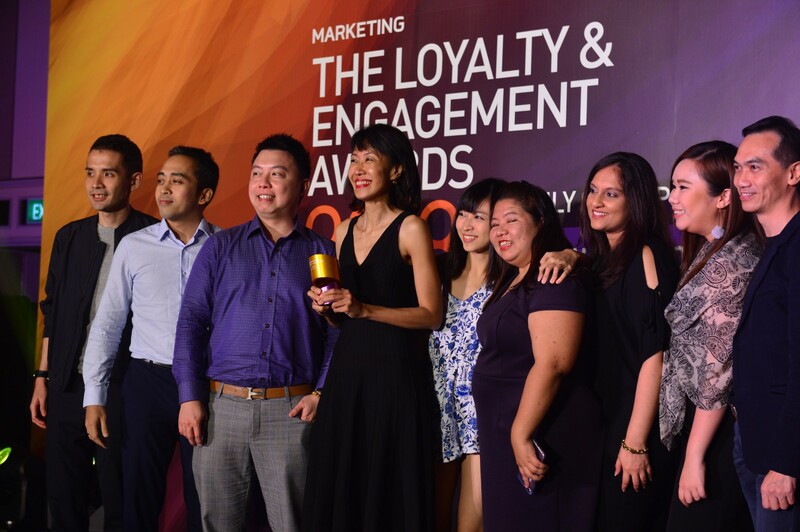 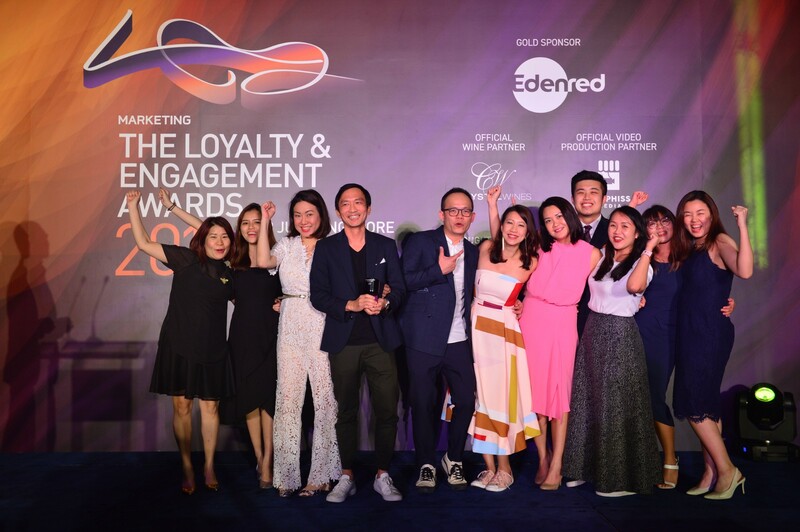 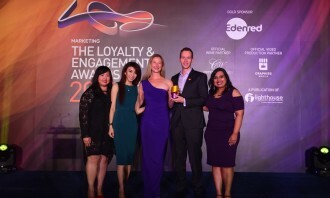 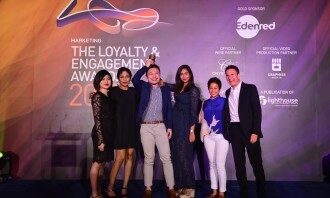 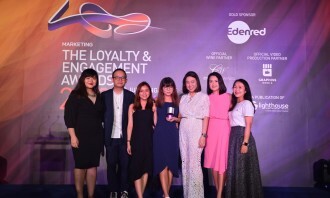 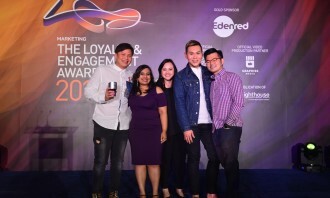 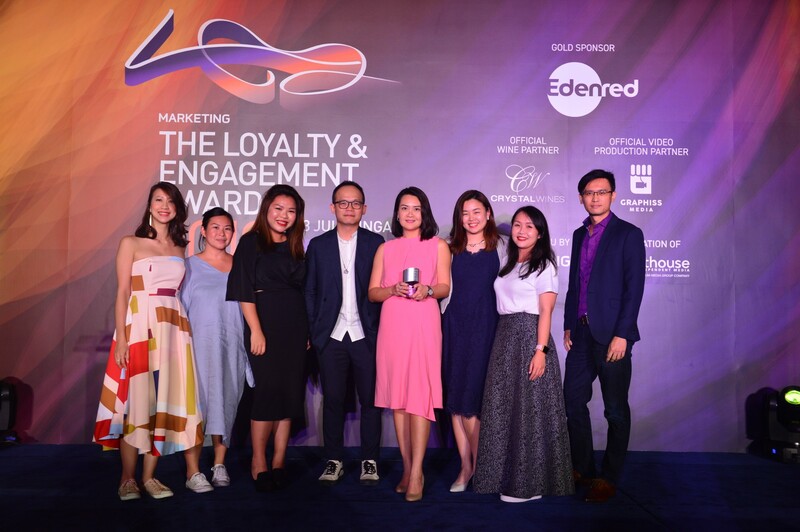 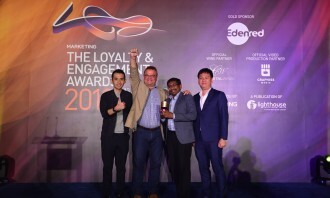 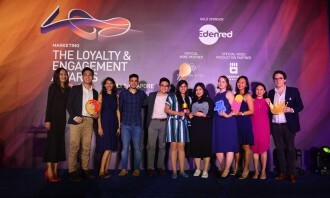 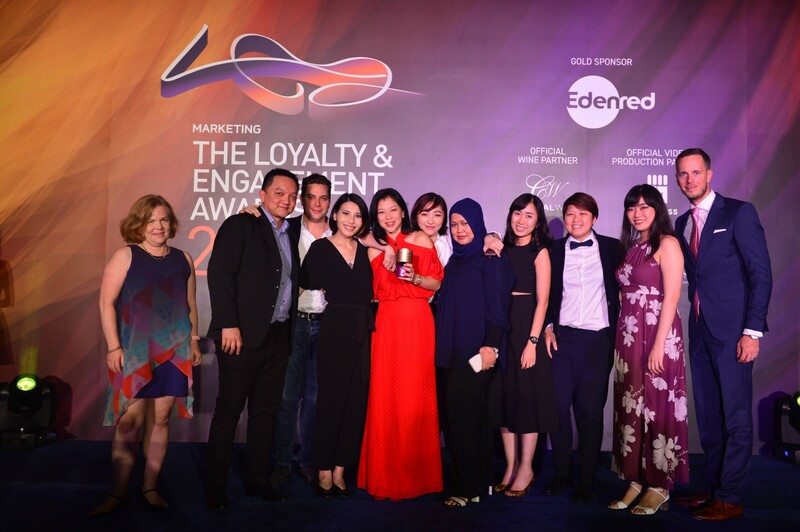 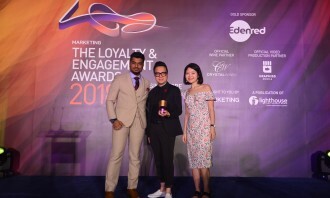 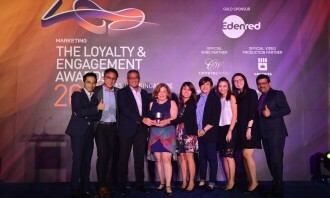 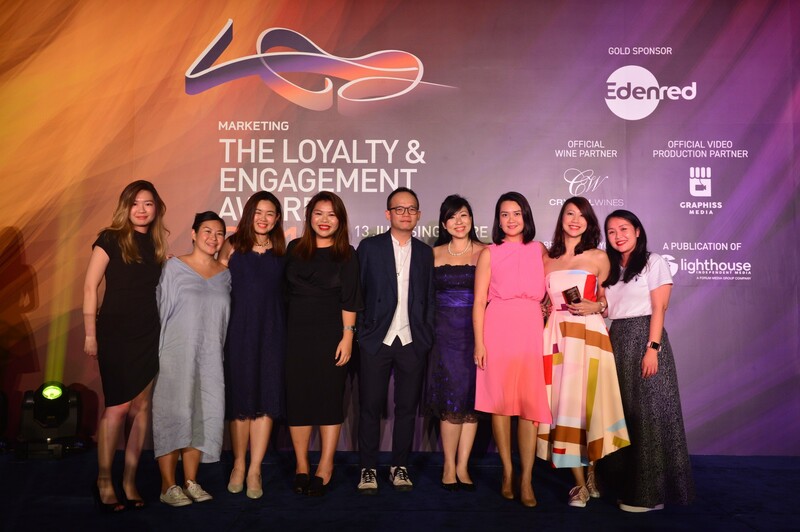 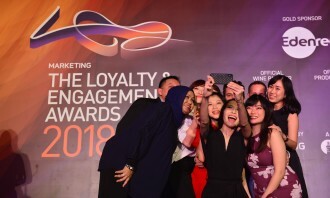 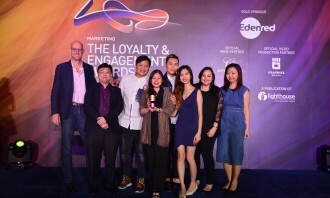 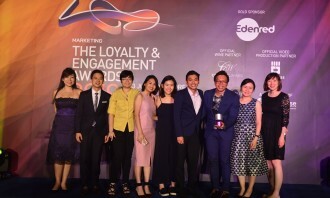 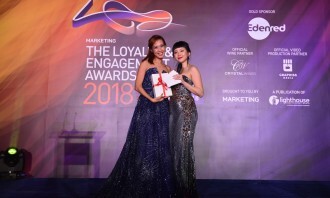 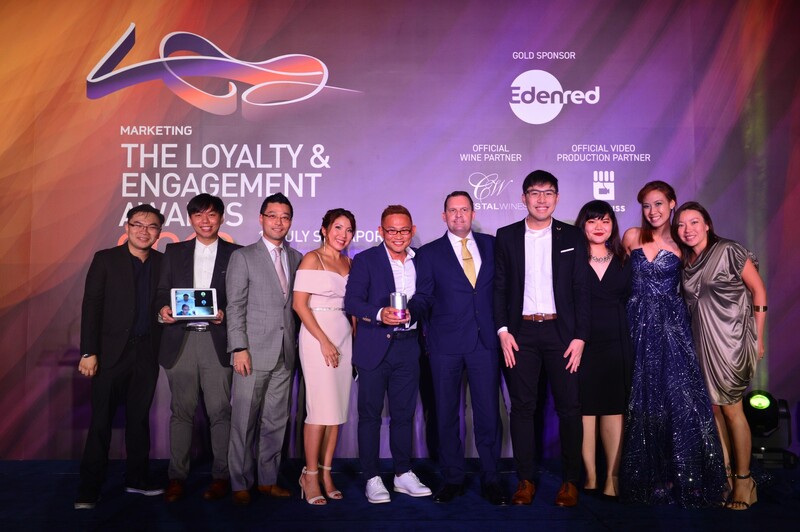 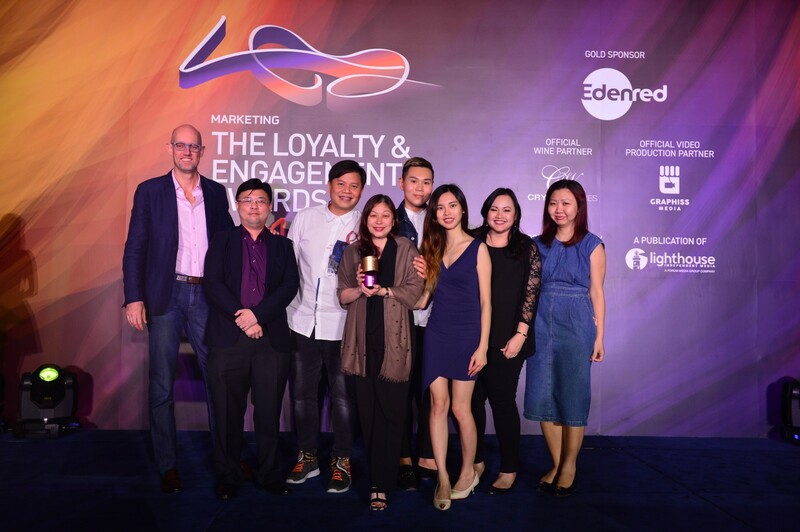 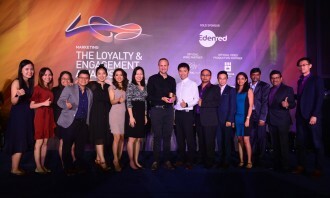 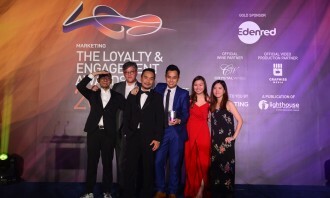 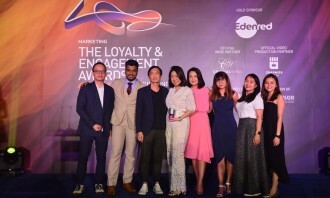 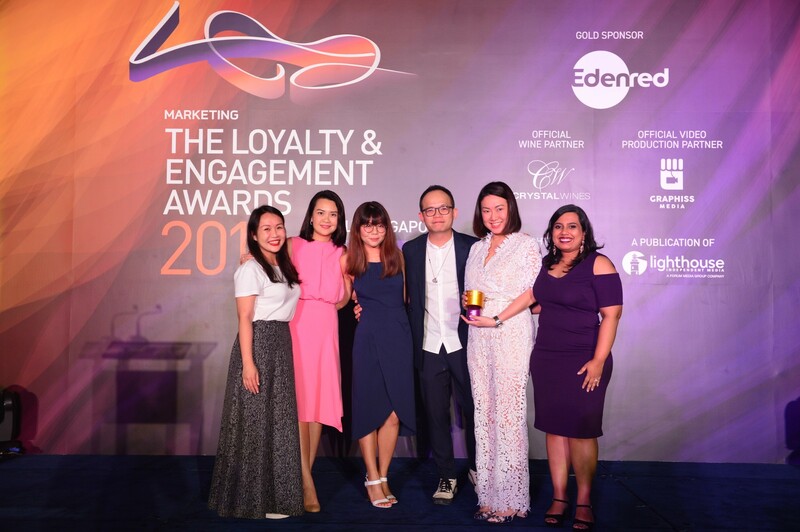 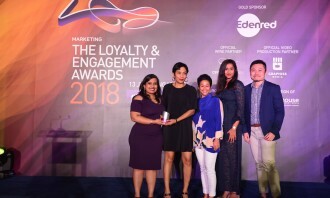 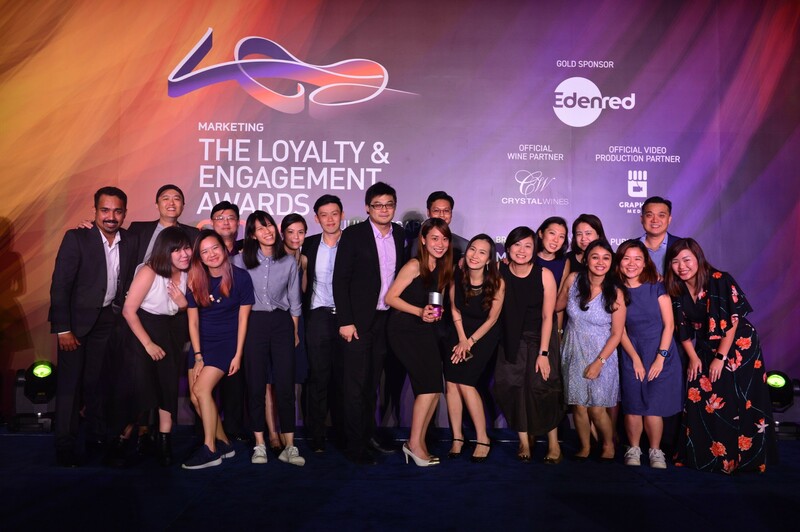 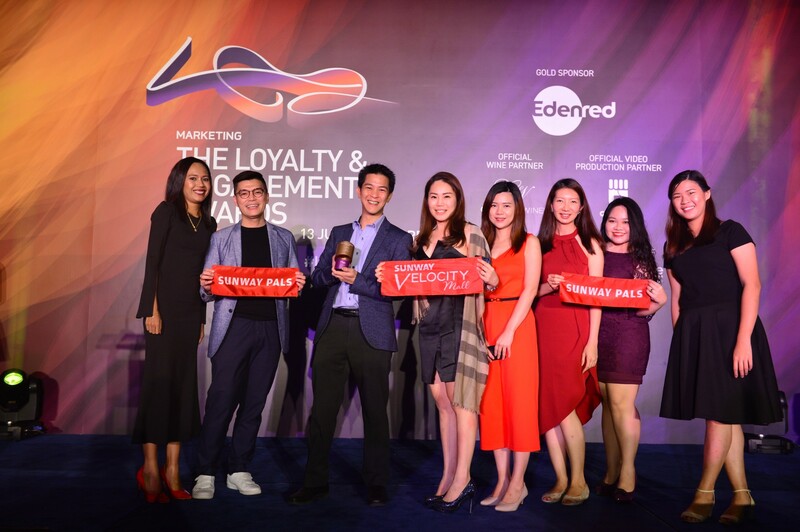 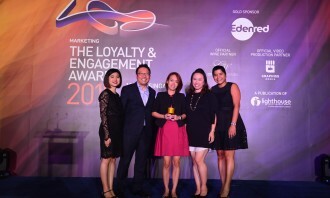 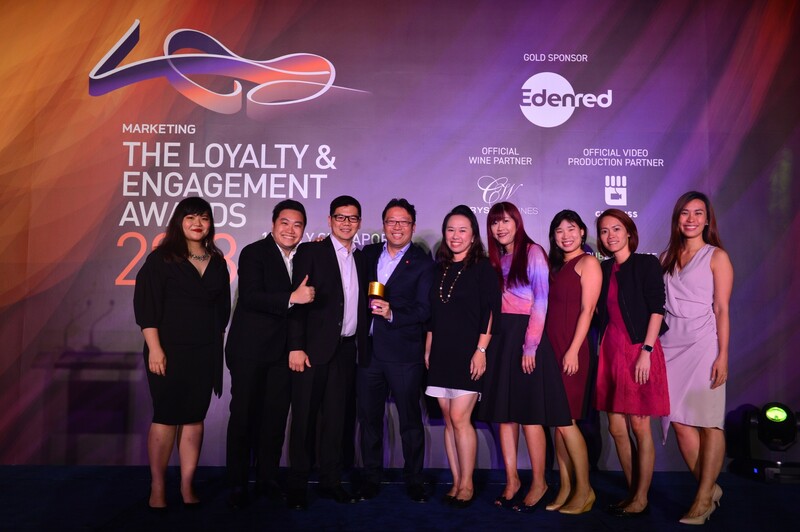 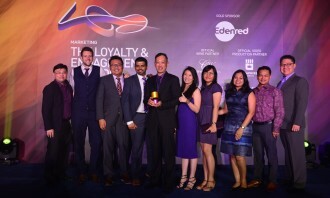 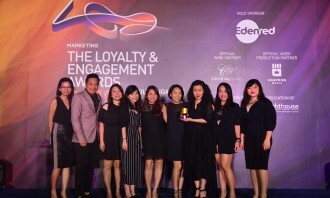 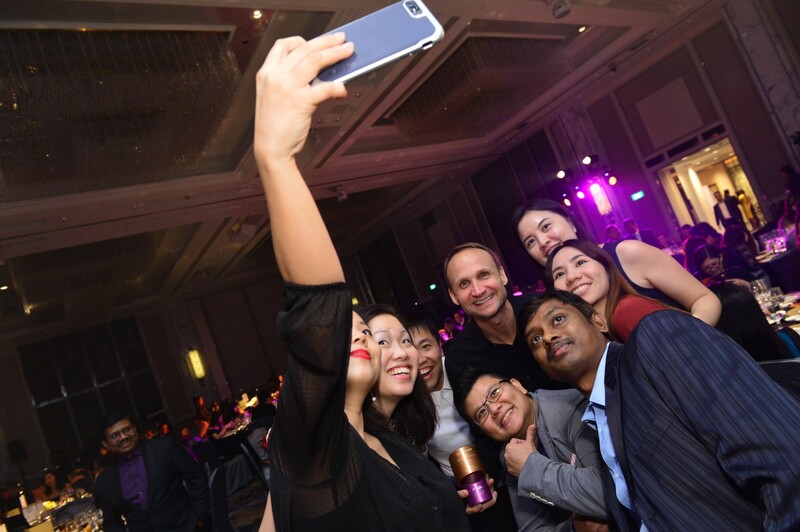 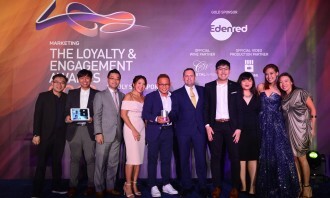 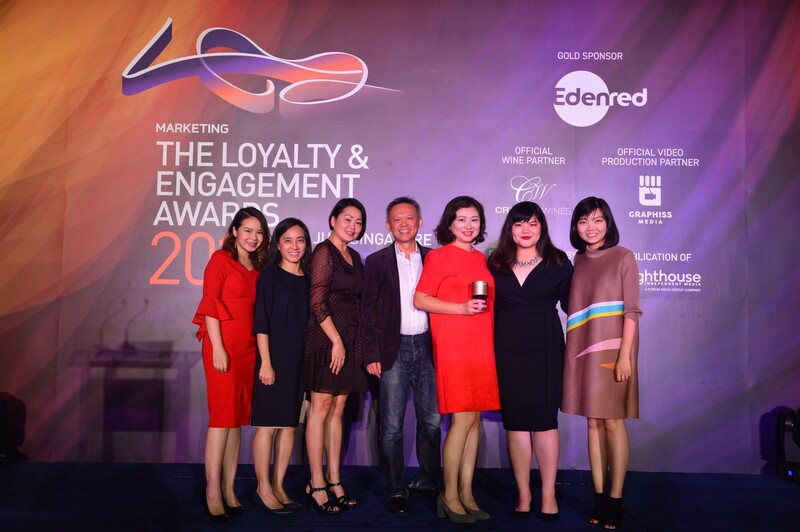 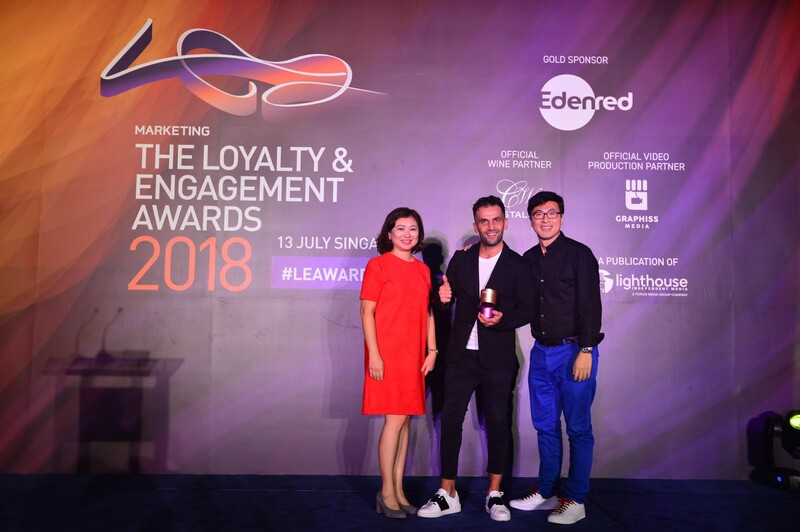 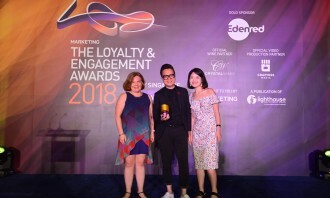 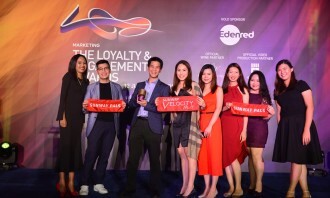 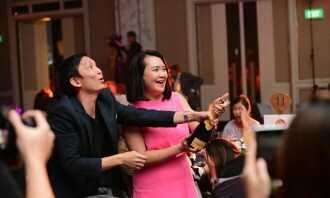 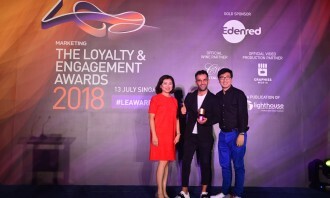 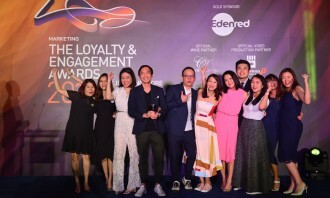 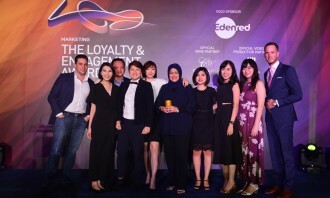 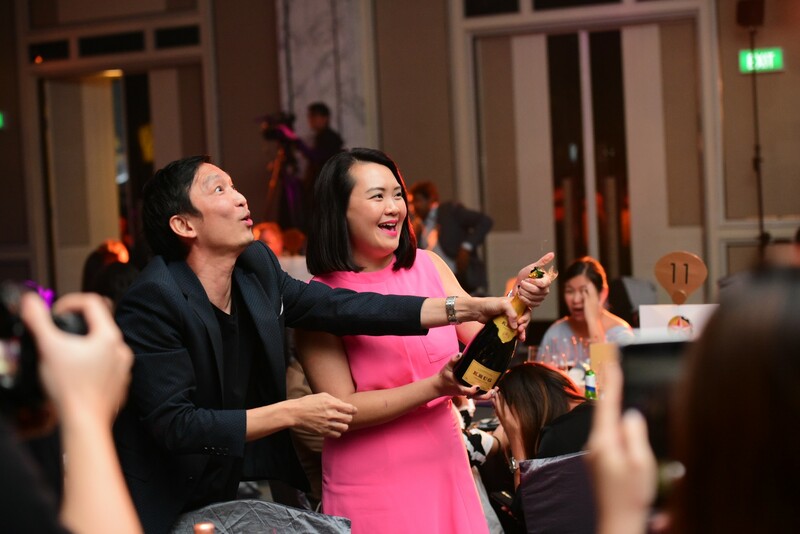 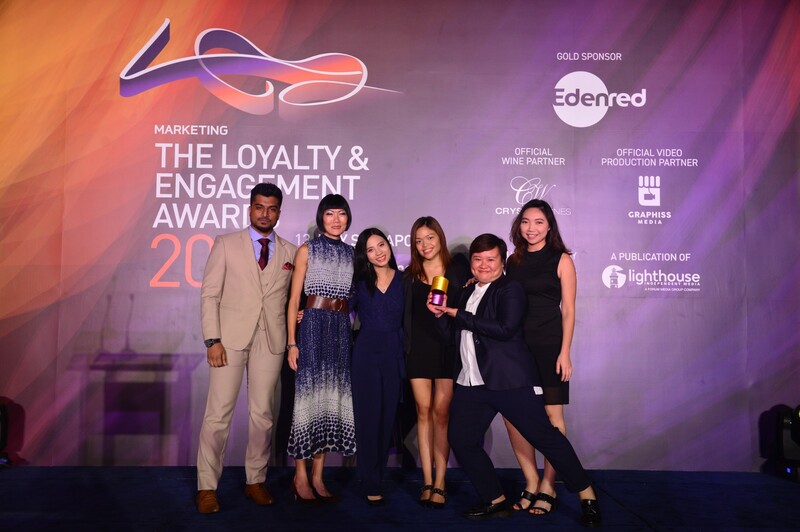 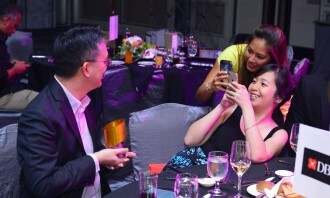 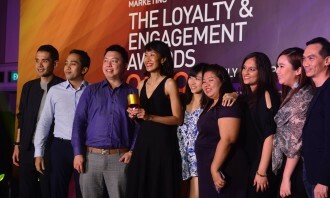 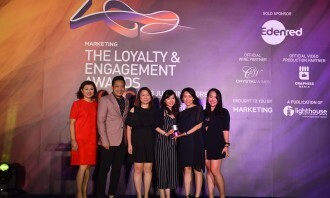 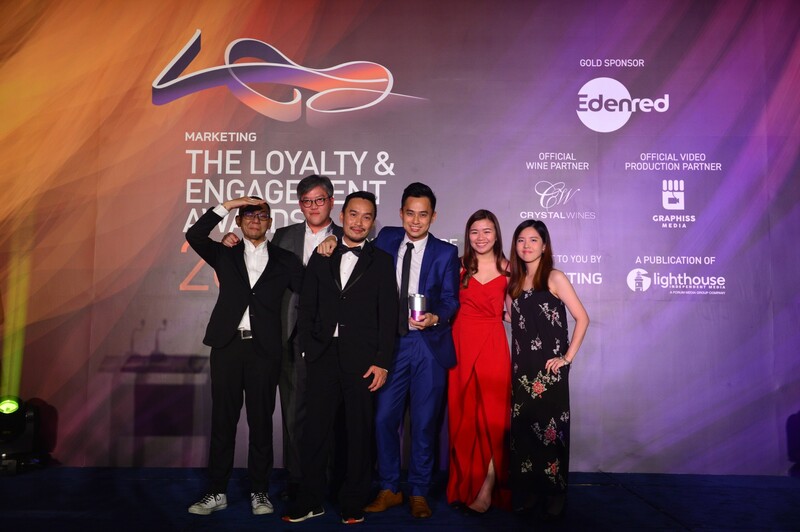 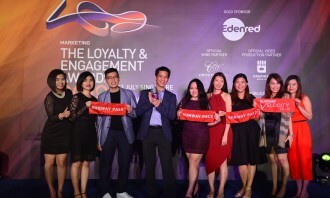 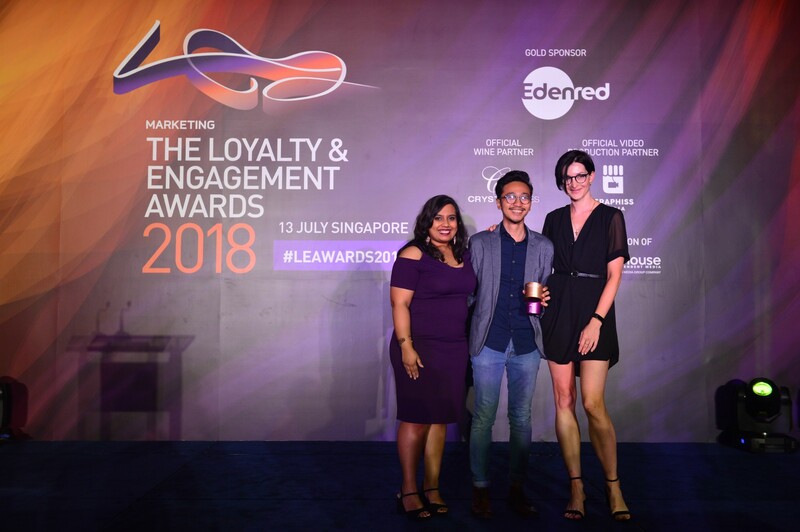 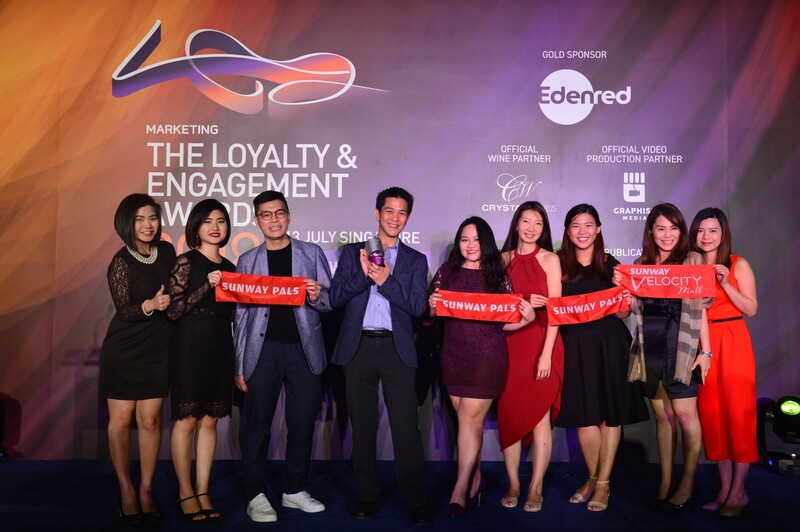 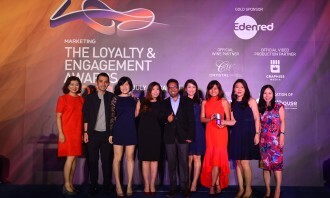 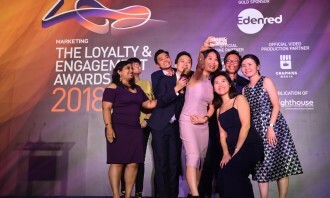 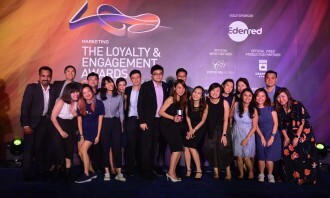 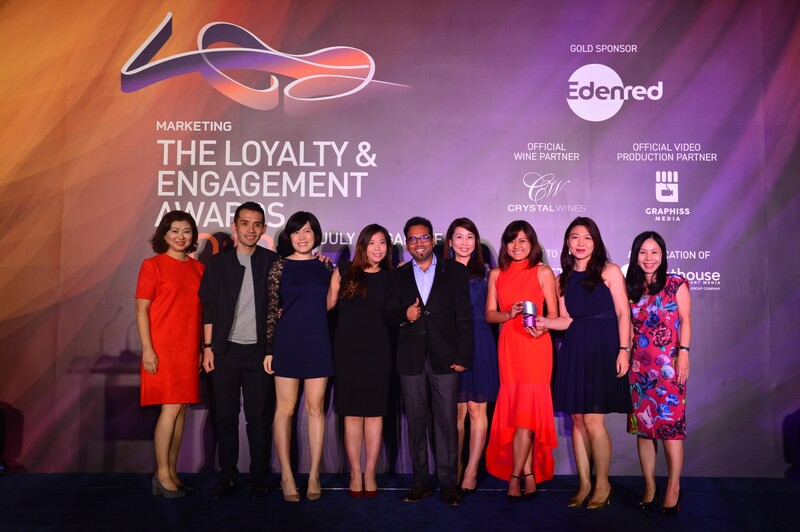 The Loyalty Agency of the Year award was claimed by Ogilvy Singapore, while GERMS won the Engagement Agency of the Year, and Meet Isaac bagged the Relationship Marketing Agency of the Year. 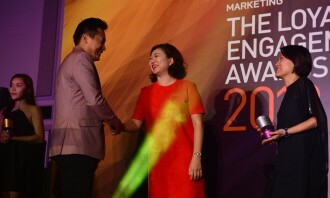 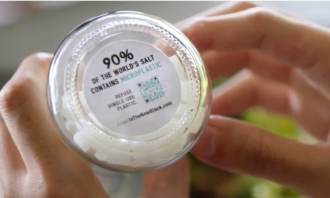 Other brands that walked home with awards include Johnson & Johnson, Intercontinental Hotels Group, Maybank, Carlsberg Marketing, Citibank Singapore, Central Narcotics Bureau and Great Eastern Life Assurance, among others. 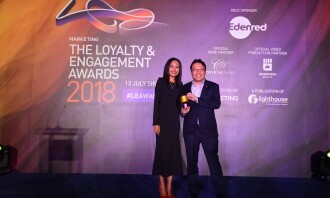 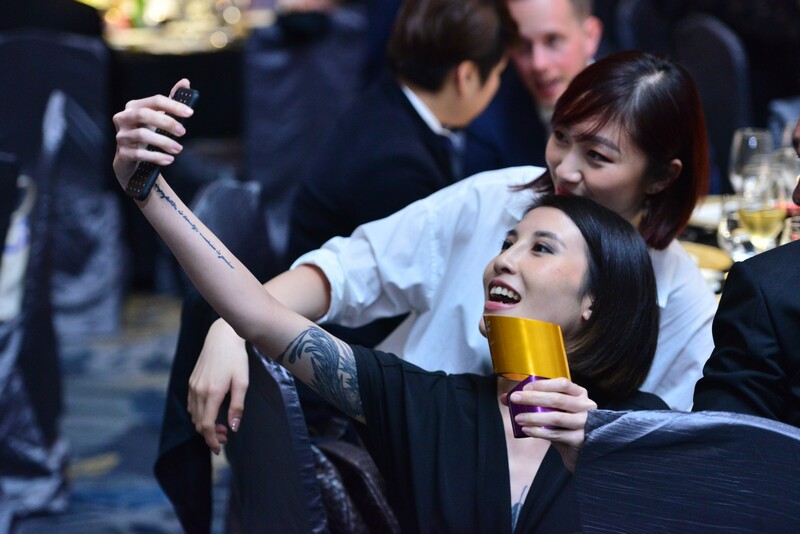 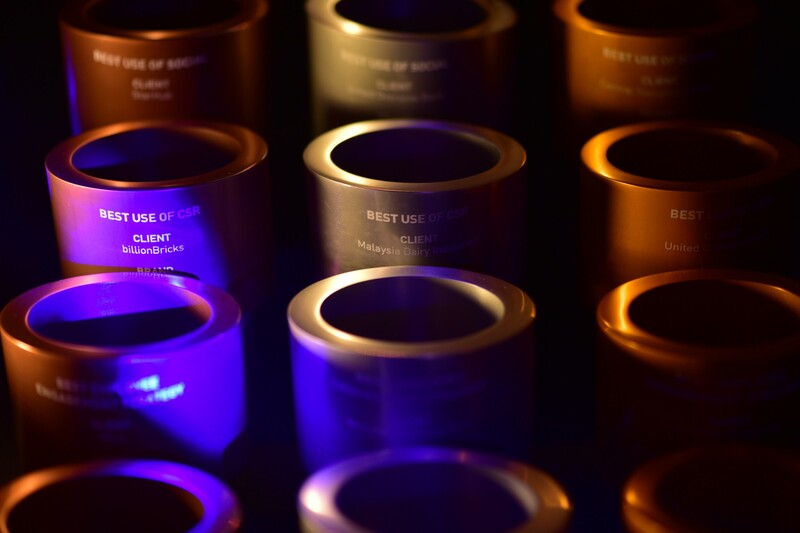 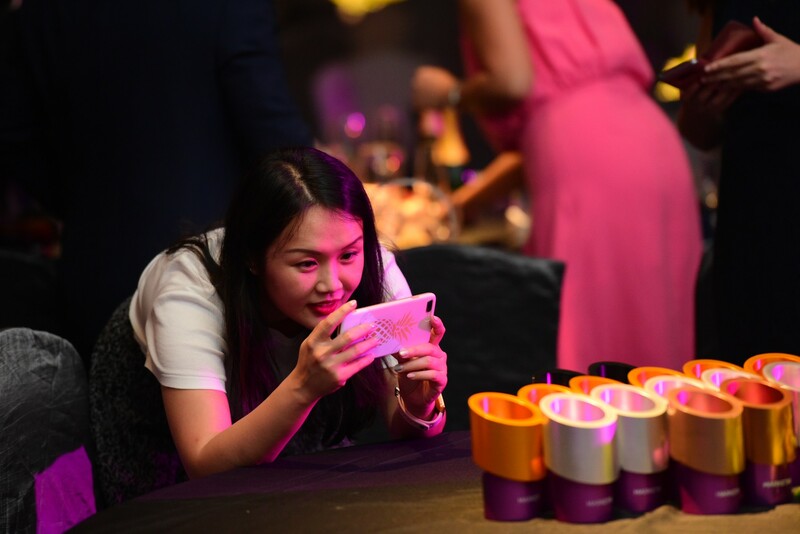 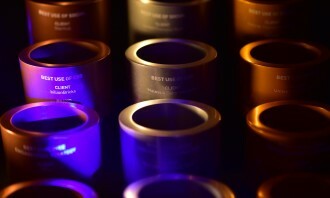 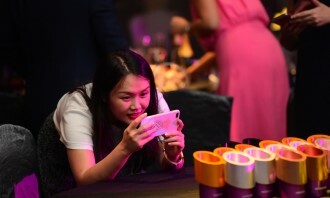 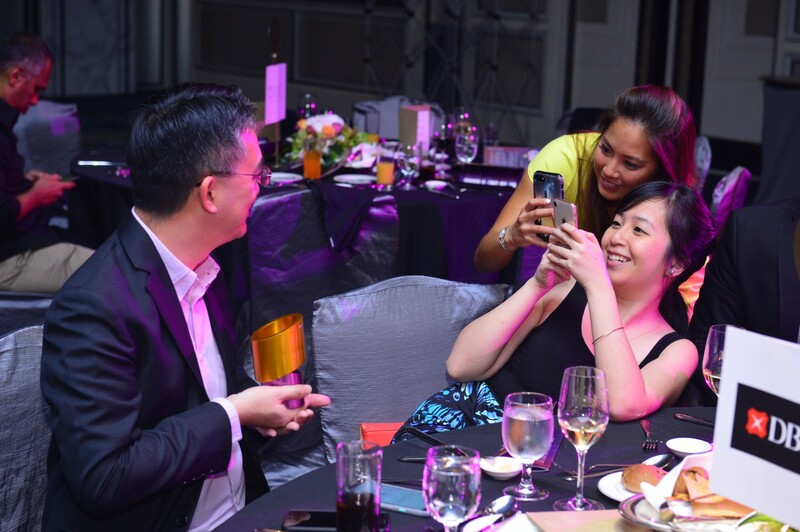 A total of 94 trophies were awarded to the most outstanding campaigns from Asia Pacific’s Loyalty, Engagement and Relationship Marketing industry. 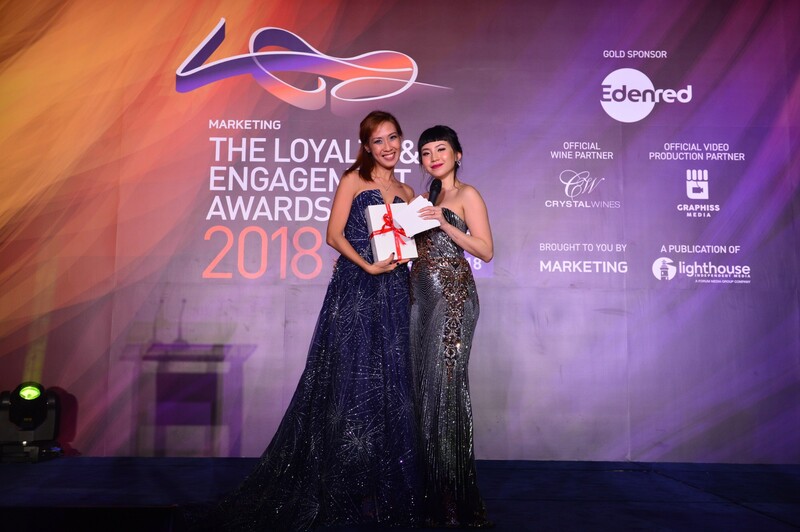 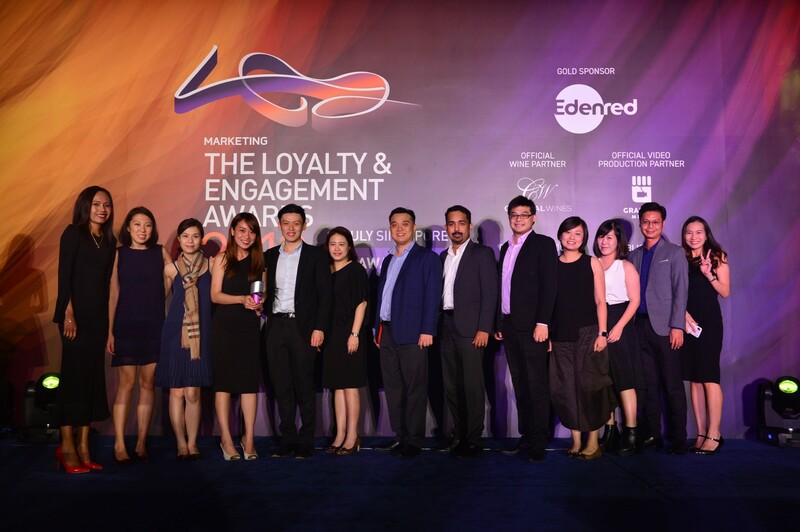 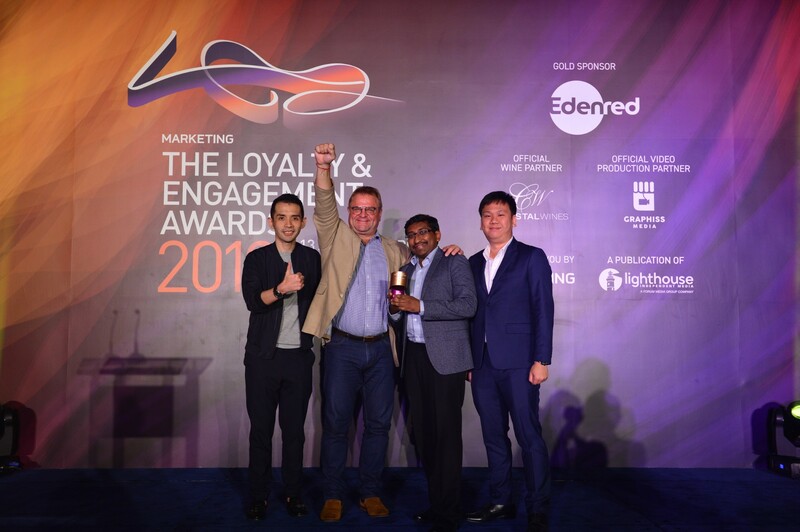 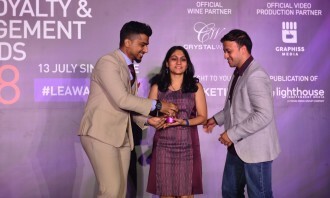 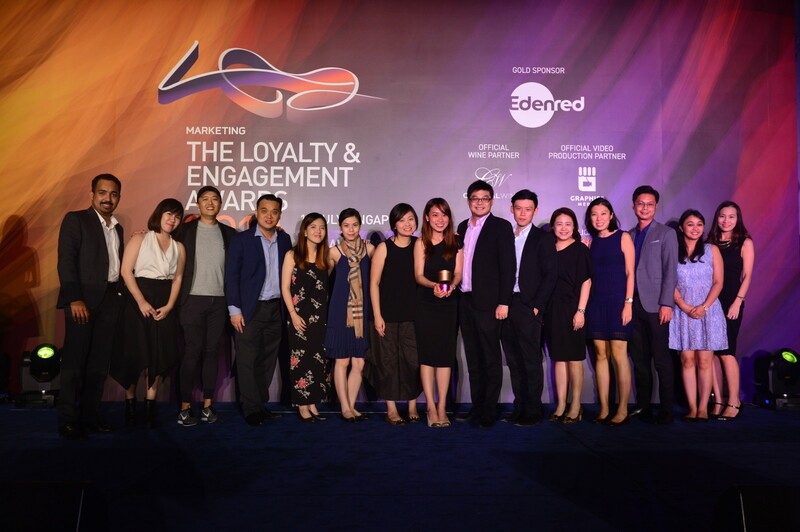 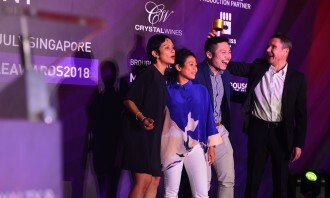 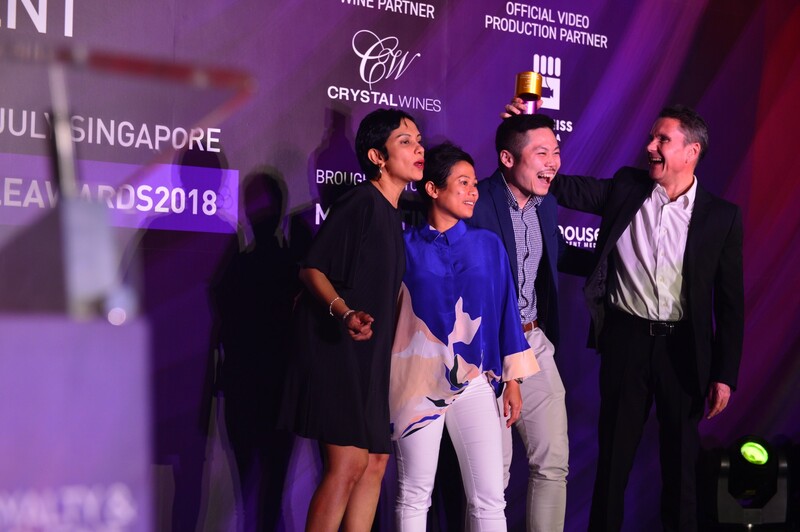 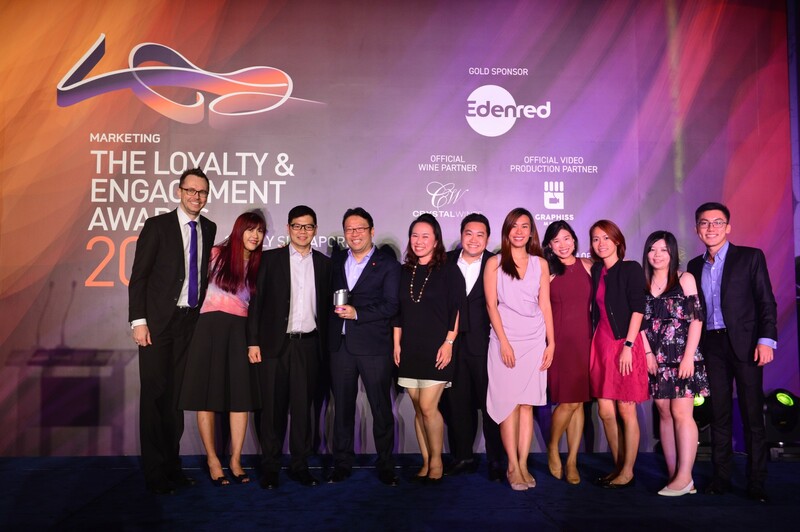 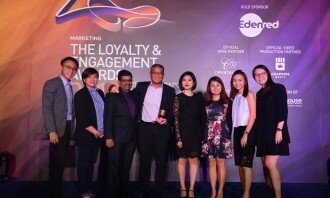 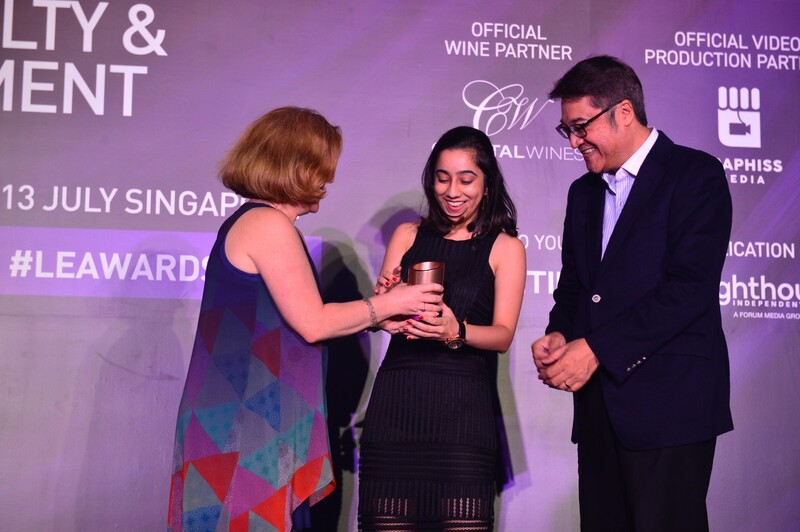 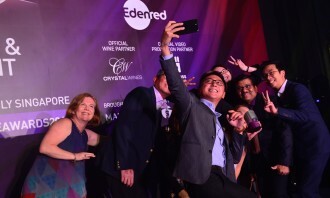 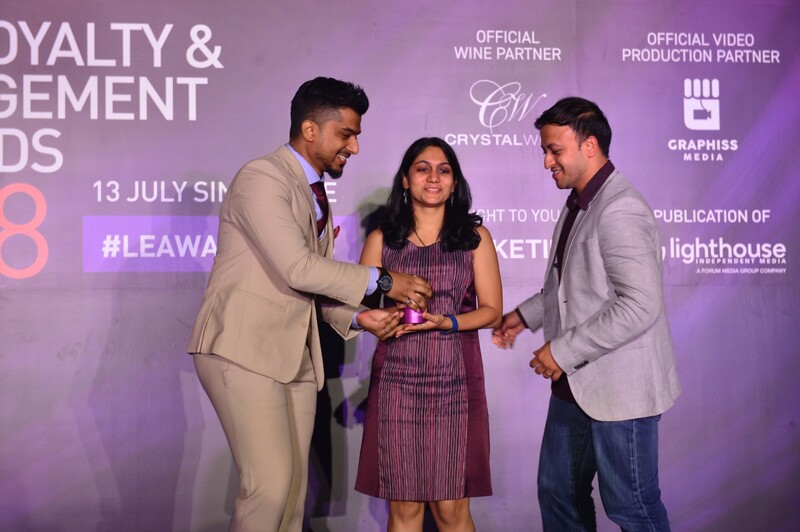 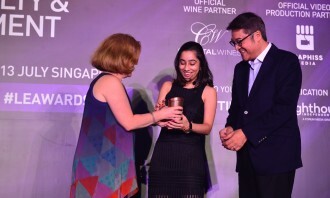 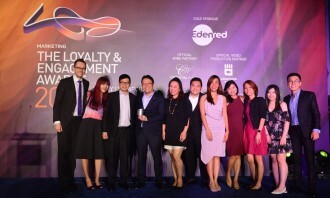 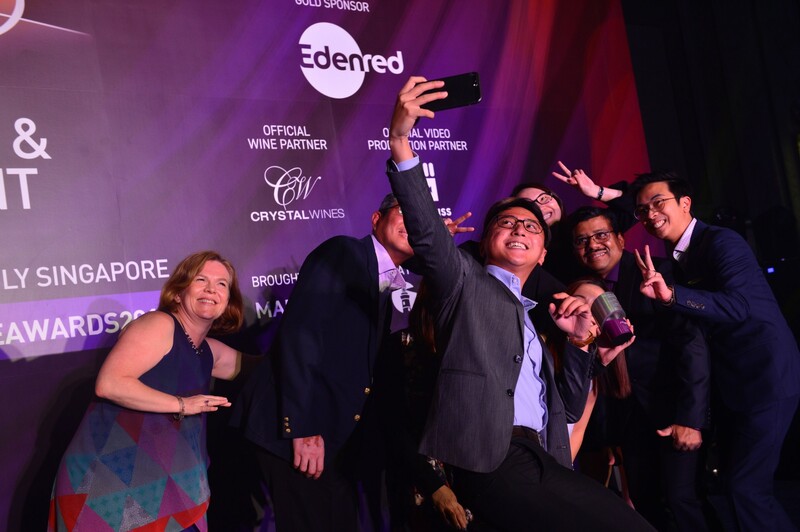 The Loyalty & Engagement Awards 2018 was sponsored by Edenred Singapore and supported by partners Crystal Wines and Graphiss Media.